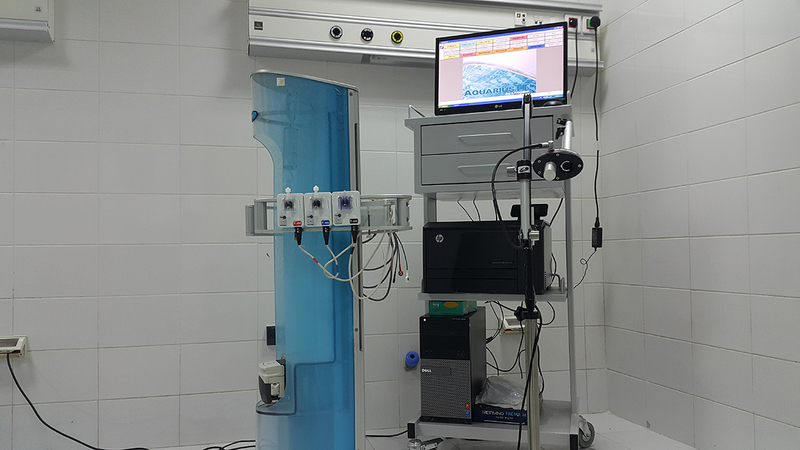 Two (2) Full HD Diagnostic & Surgical Endoscopy towers from Richard Wolf state-of-art equipment, for Urology & Laparoscopy specialties and complete range urology, Laparoscopy instruments. 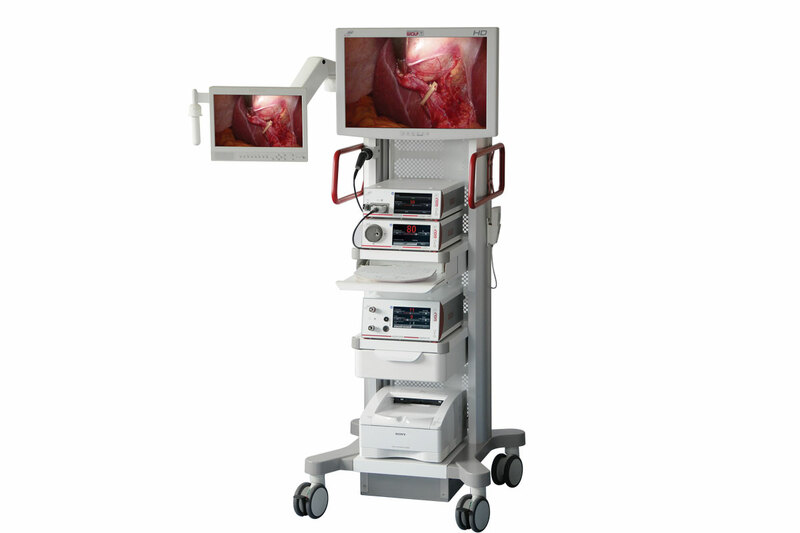 Full HD Surgical Laparoscopy tower from Richard Wolf state-of-art equipment and complete range Laparoscopy instruments. 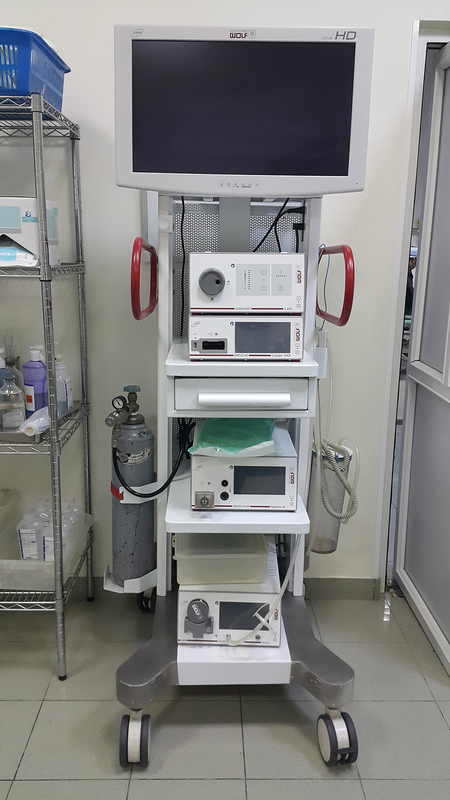 Two (2) Full HD Diagnostic & Surgical Endoscopy towers from Richard Wolf state-of-art equipment, for Urology & Laparoscopy specialties and complete range urology, Laparoscopy instruments. 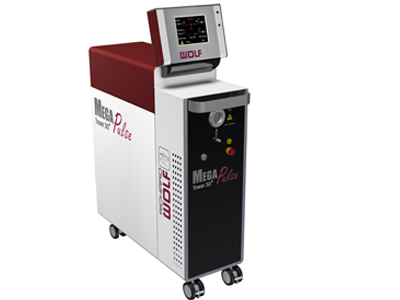 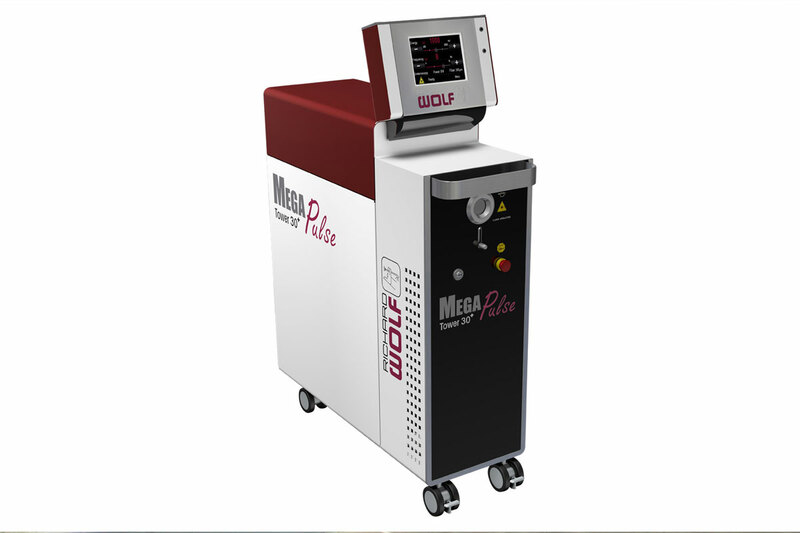 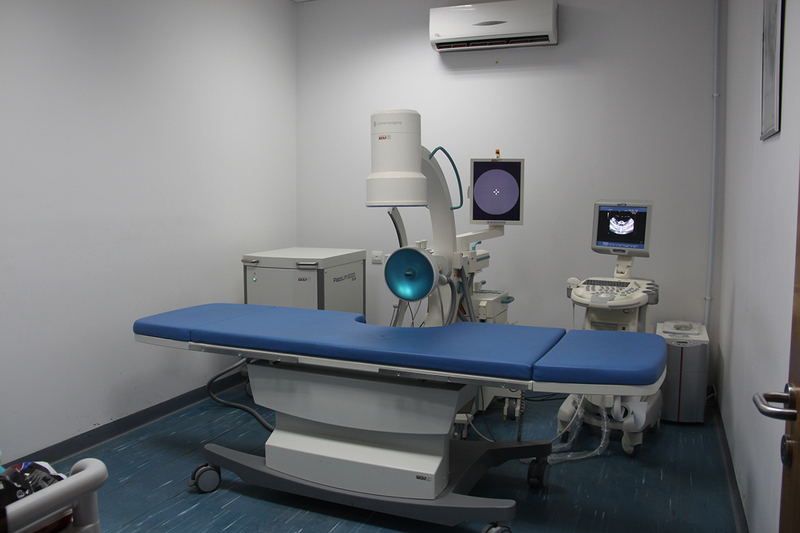 Richard Wolf cutting edge technology of PiezoLith 3000 Plus lithotripsy system. 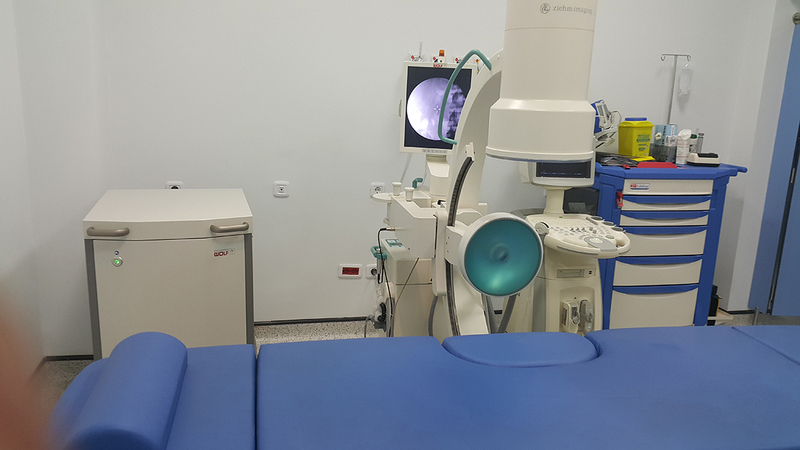 Richard Wolf cutting edge technology of PiezoLith 3000 Plus lithotripsy system. 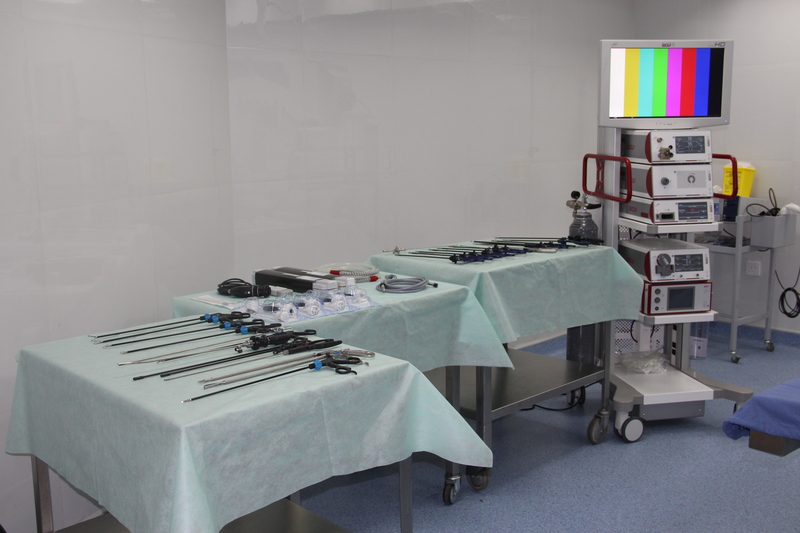 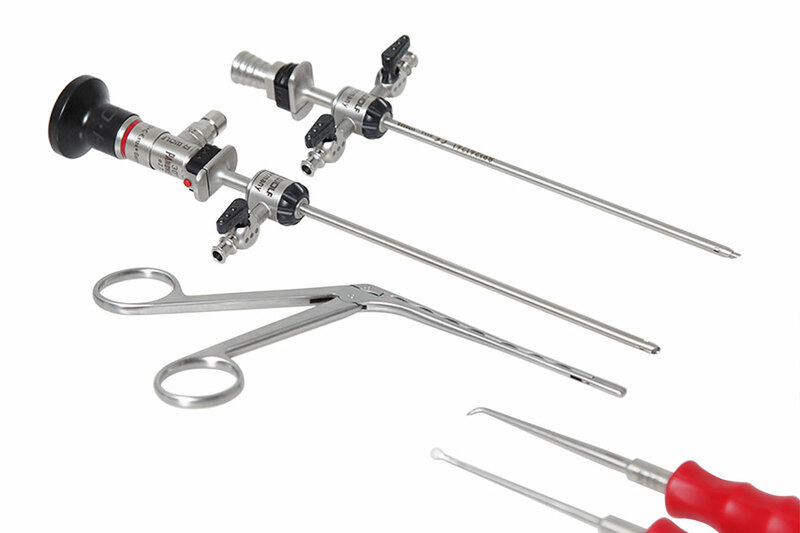 Full HD Surgical Urology tower from Richard Wolf state-of-art equipment and complete range urology instruments. 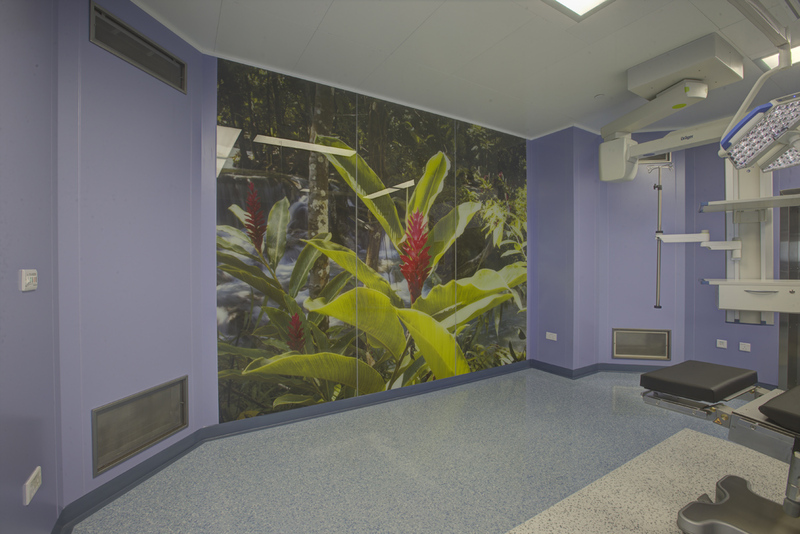 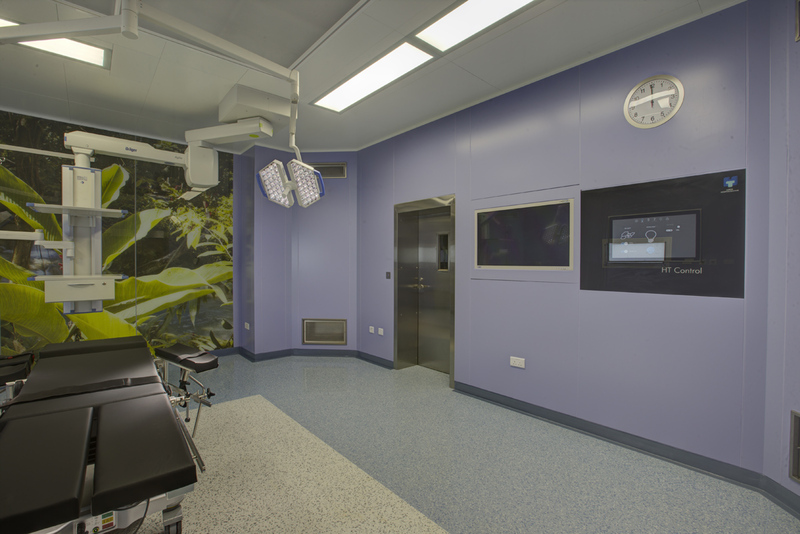 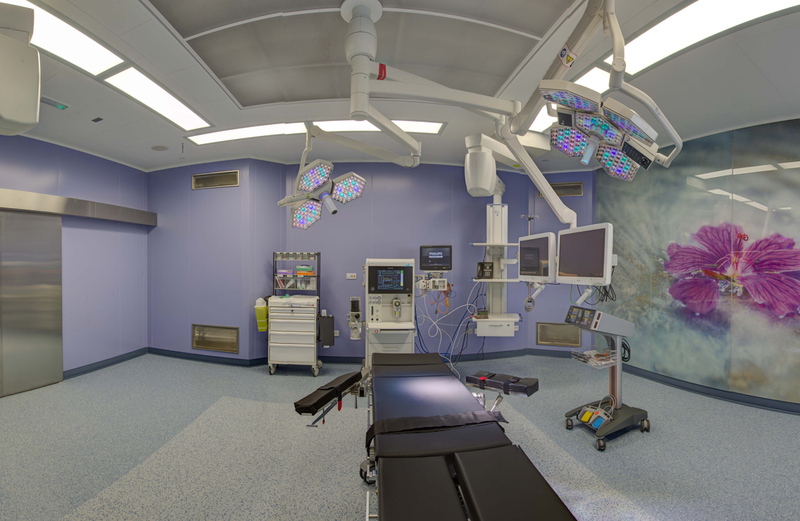 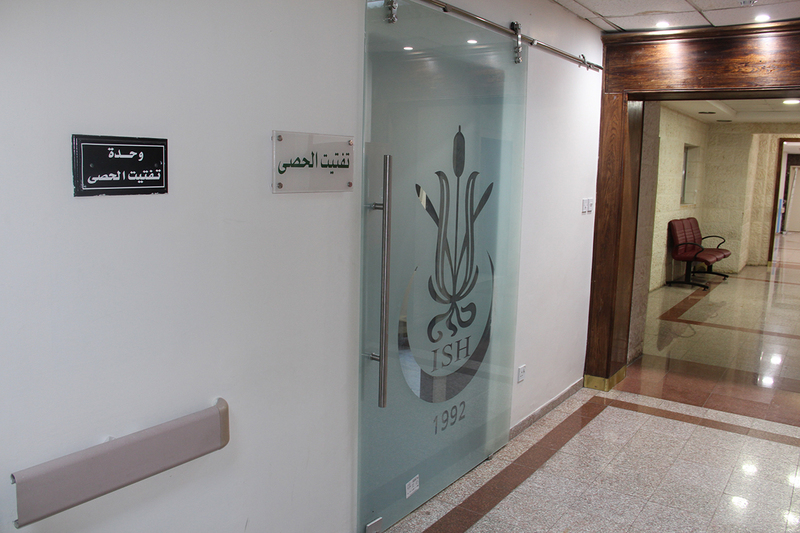 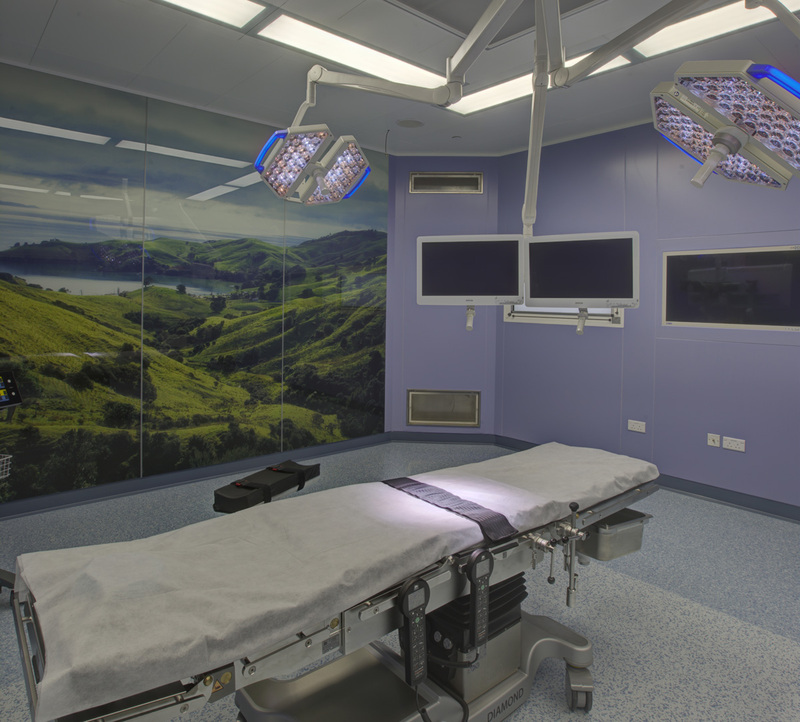 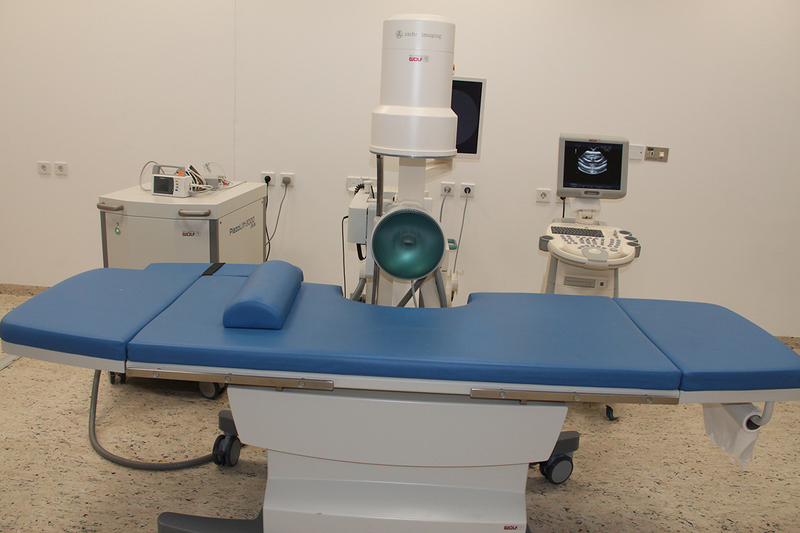 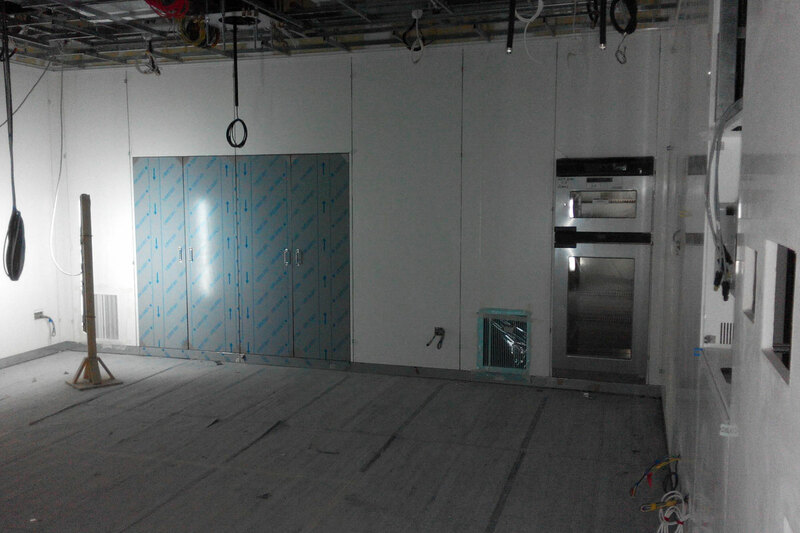 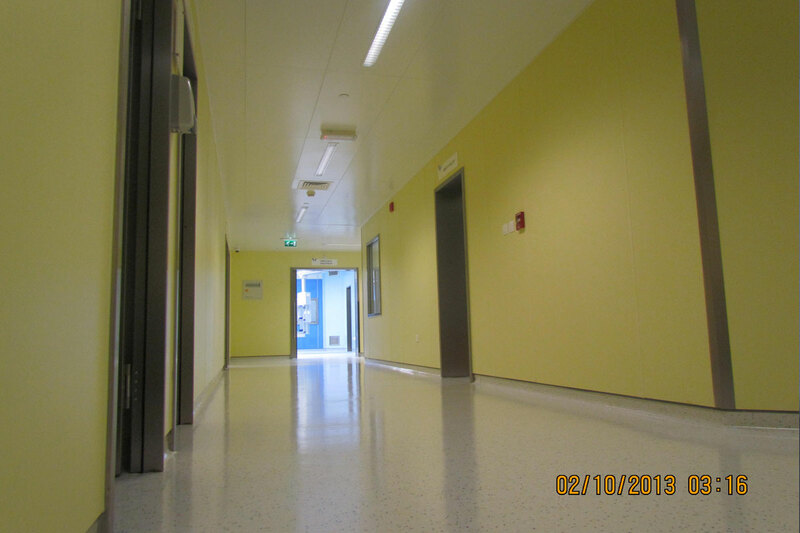 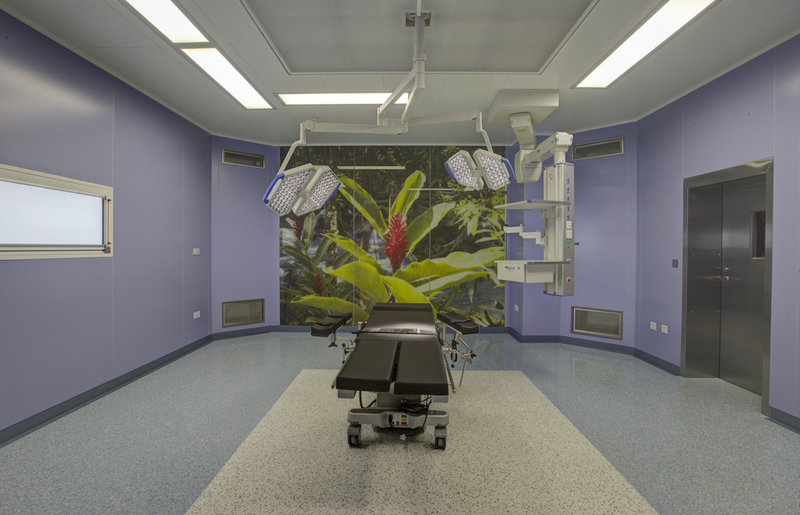 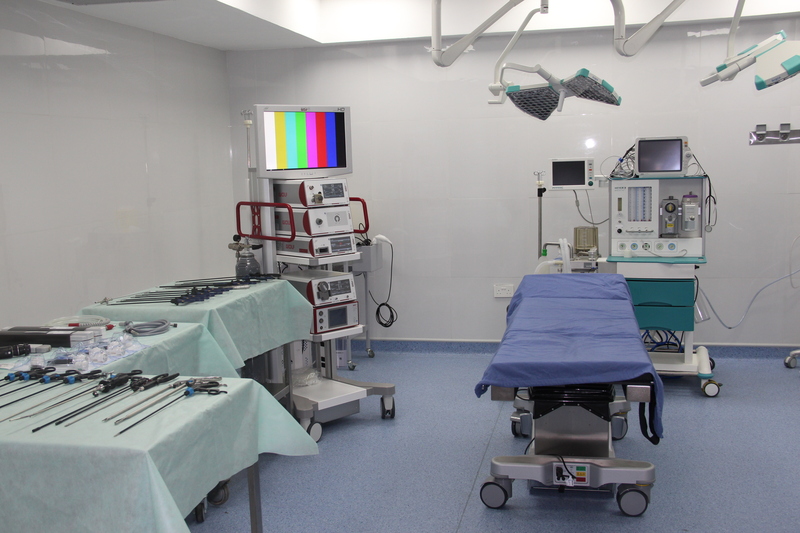 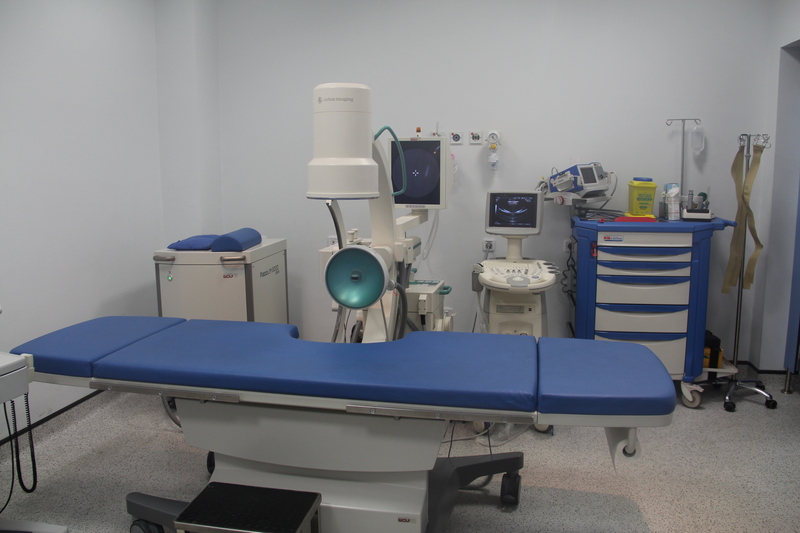 Renovation and extension of the existing surgical suite comprising 7 Operation Theaters plus supported rooms. 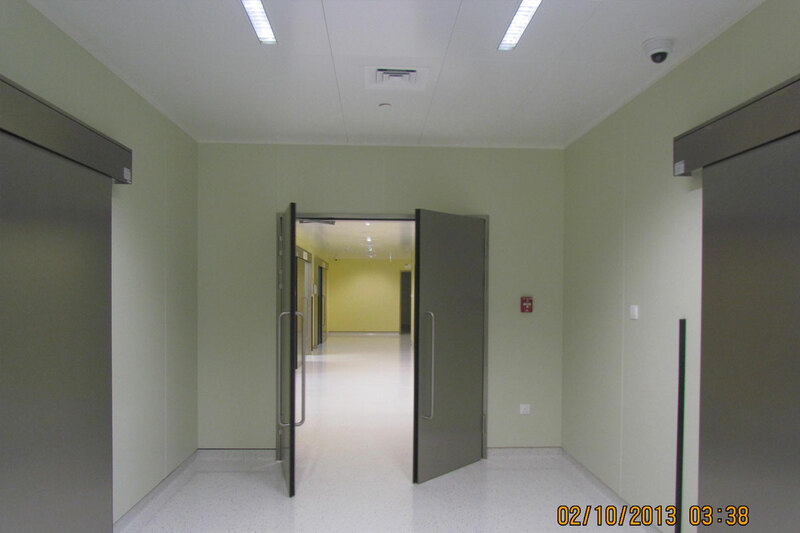 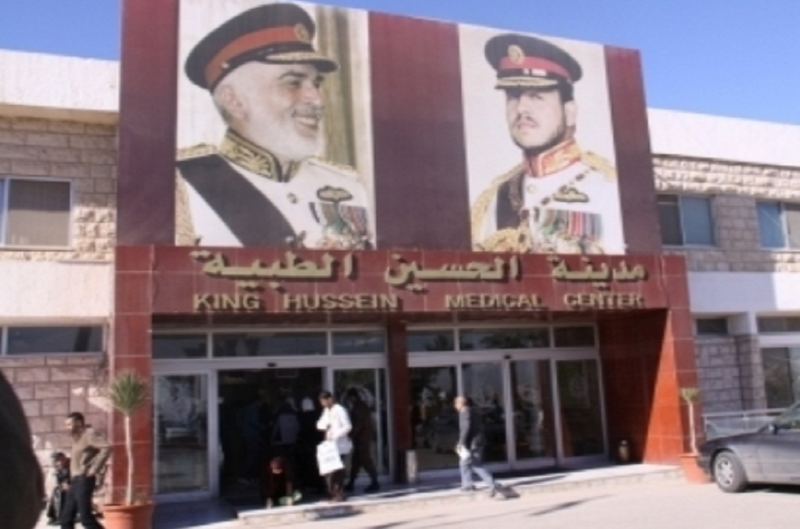 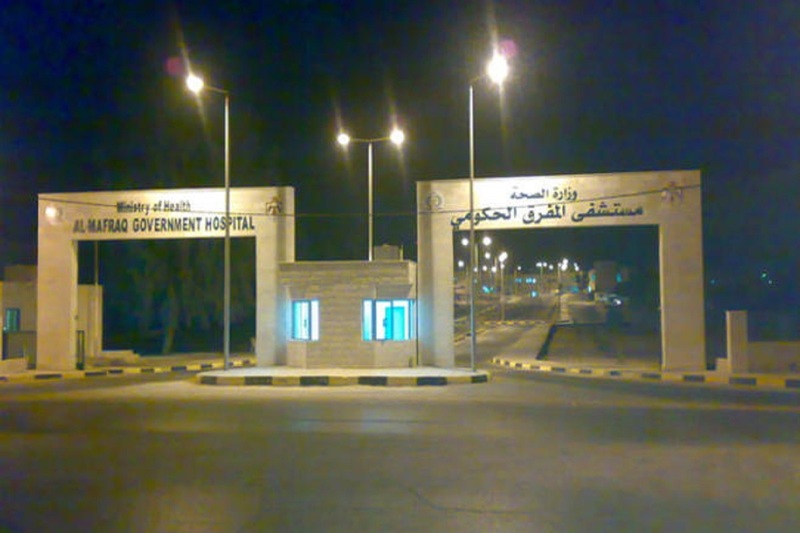 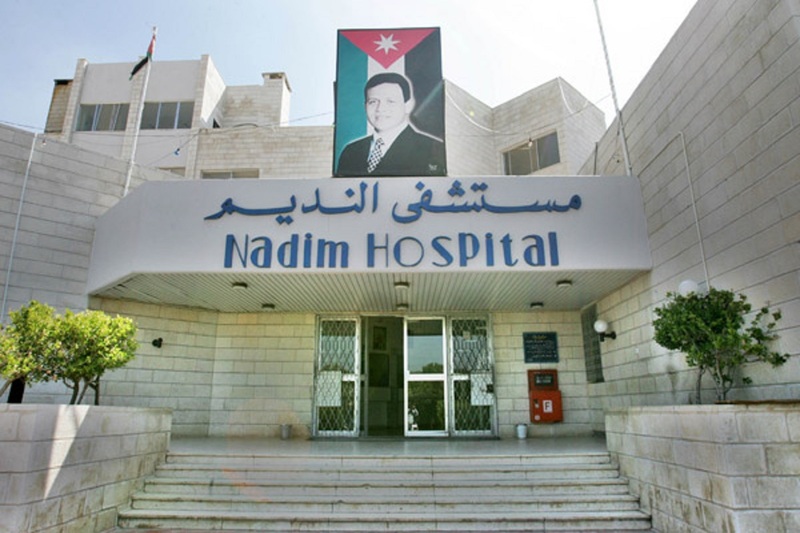 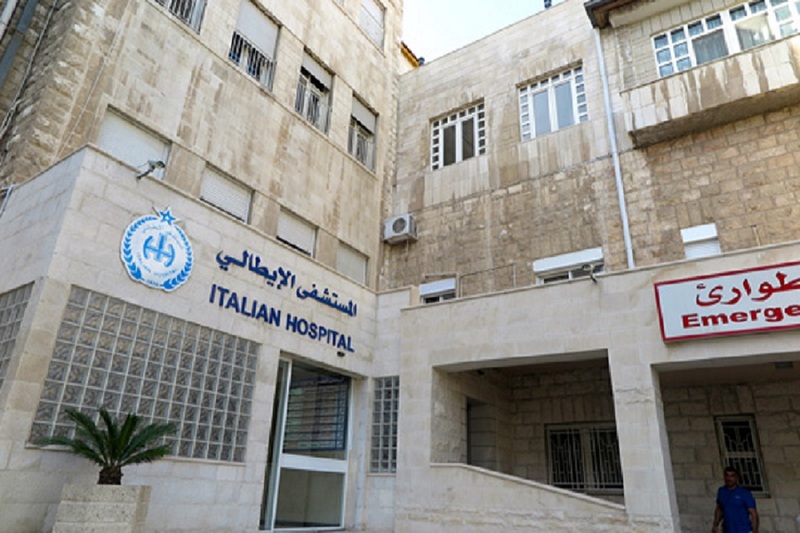 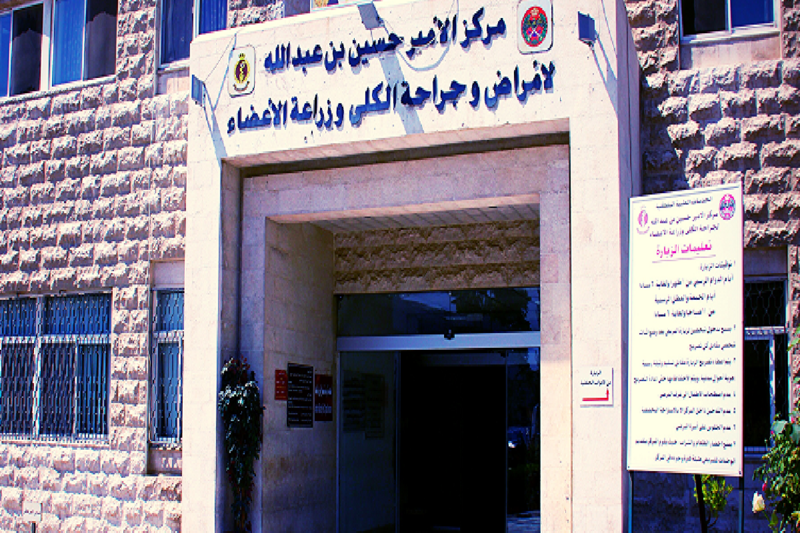 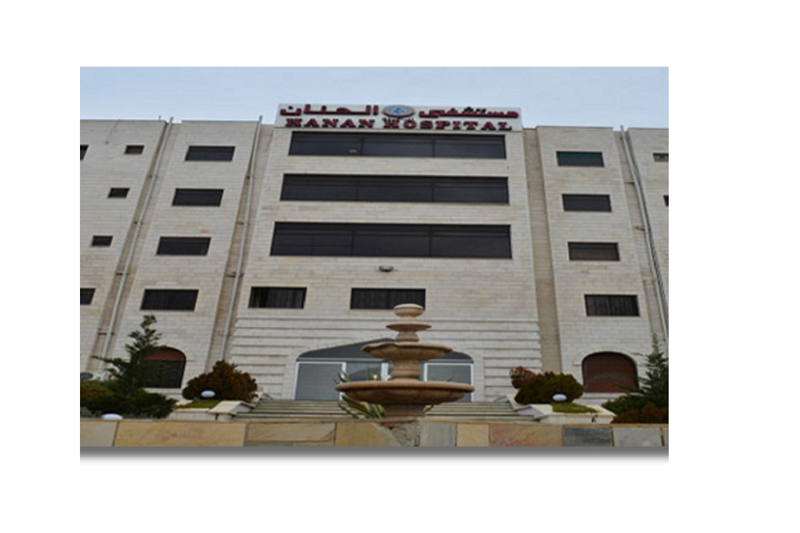 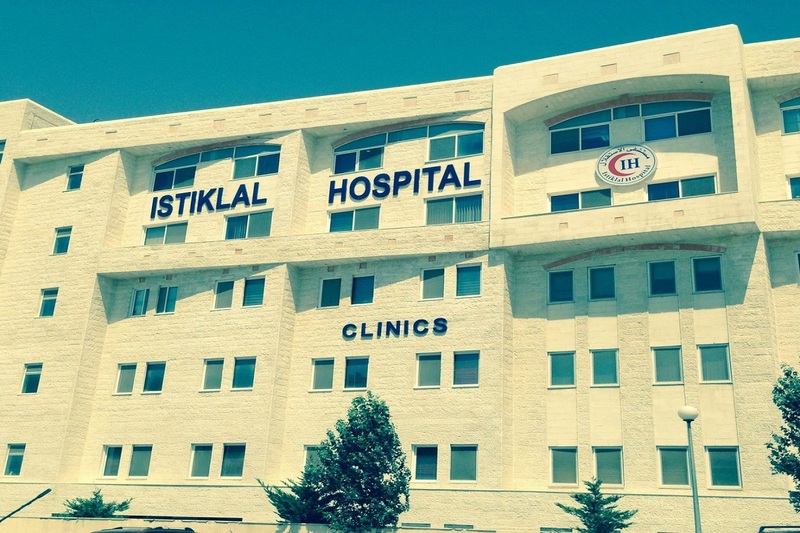 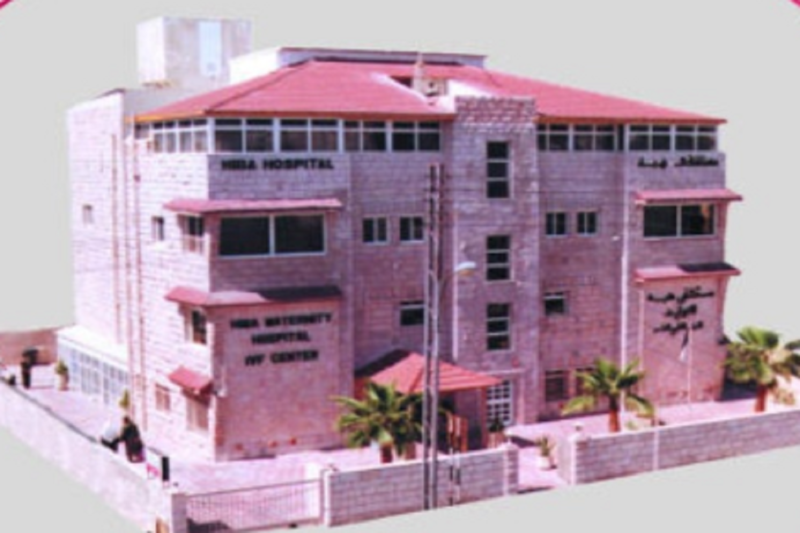 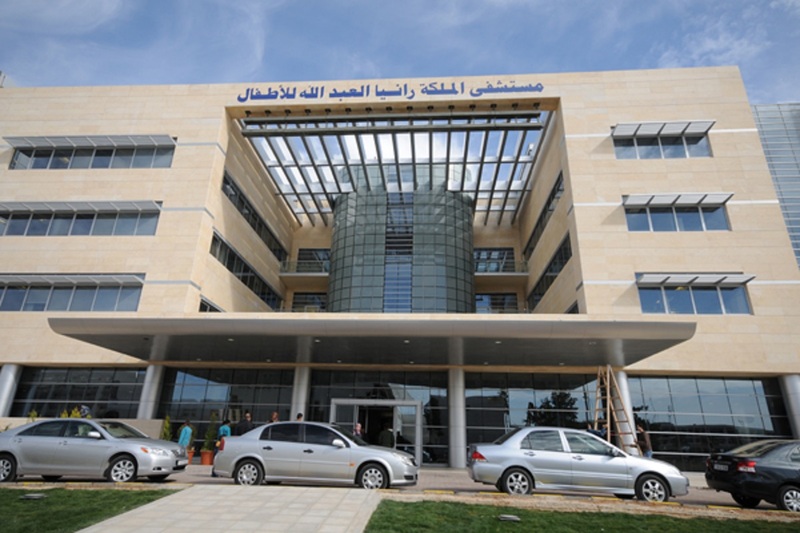 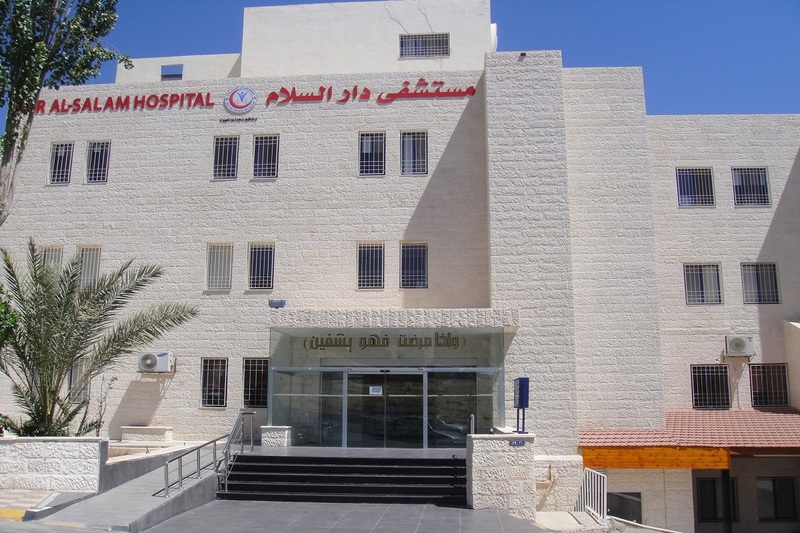 The scope of work included the architectural, MEP & Medical Infrastructural Design, Planning, Project Management & Building new Seven Operation Theaters, Pre / Post Operative Areas, Corridors & Supported Rooms by the following Brands: HT Modular Systems "Wall Paneling Systems, Ceiling Paneling Systems, S/S Doors, Inspection / Glazing Windows, S/S Furniture, Built in Cabinets & Surgical Control Panels for the full complex. 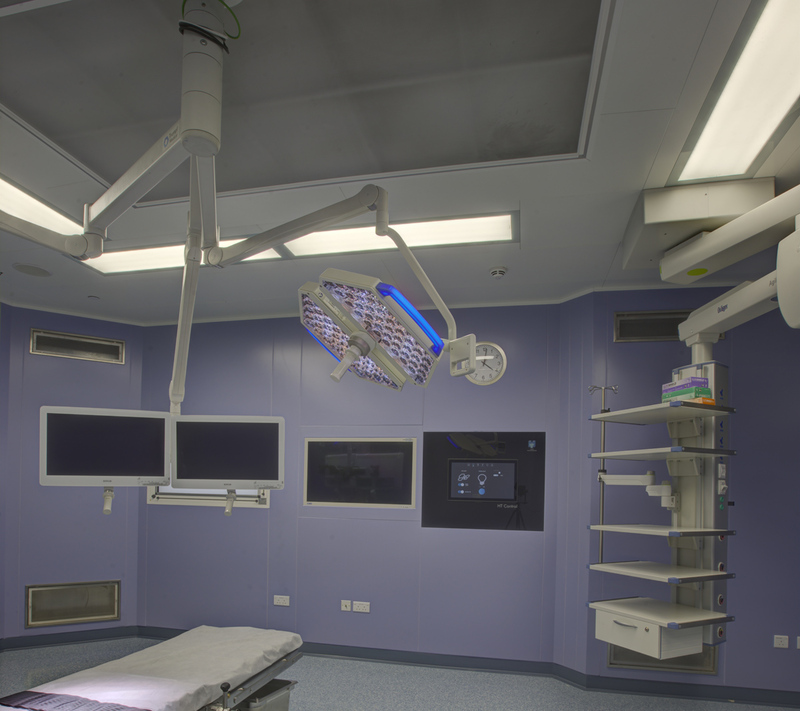 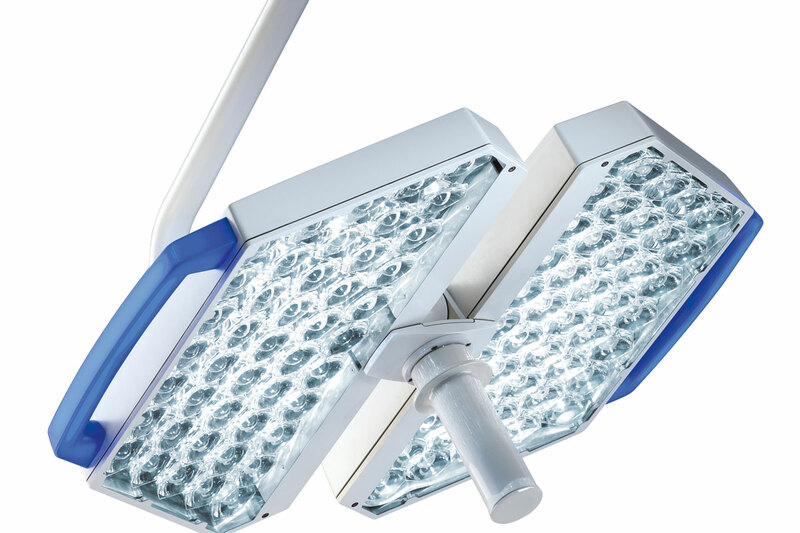 TRUMPF Ceiling Pendants, Surgical Lights, HD Cameras & Operating Tables. 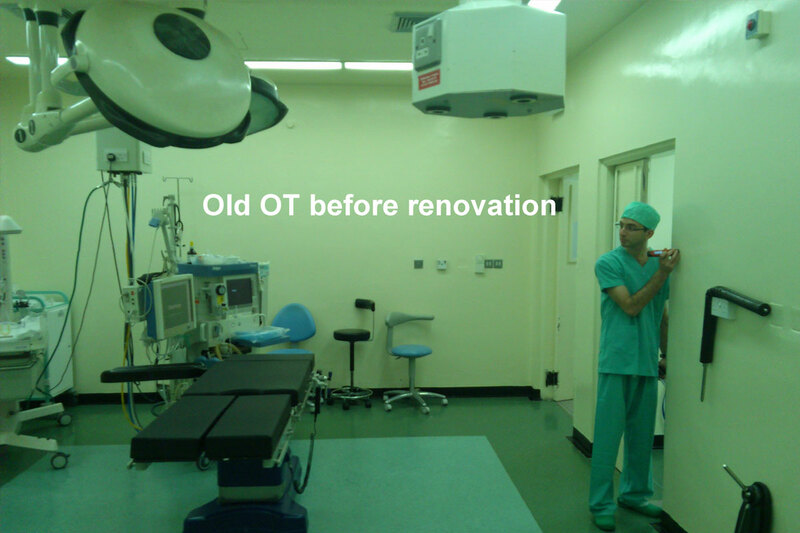 "HT Modular Solution renovation of OR. 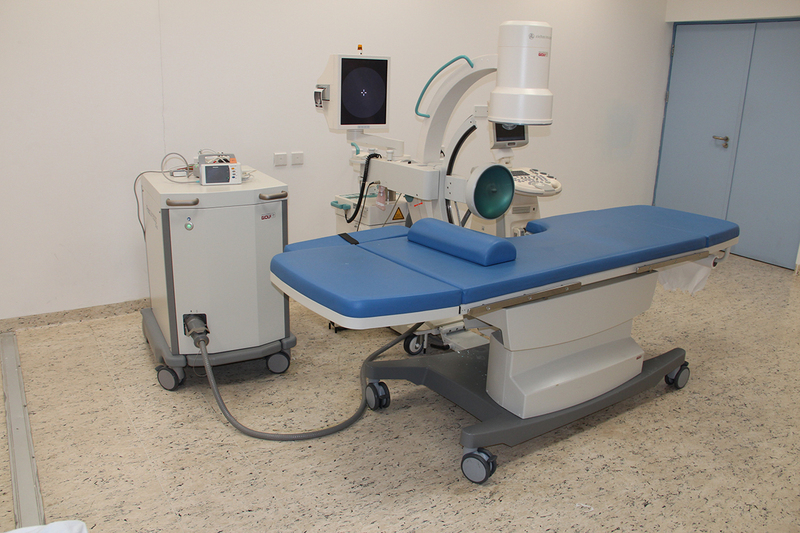 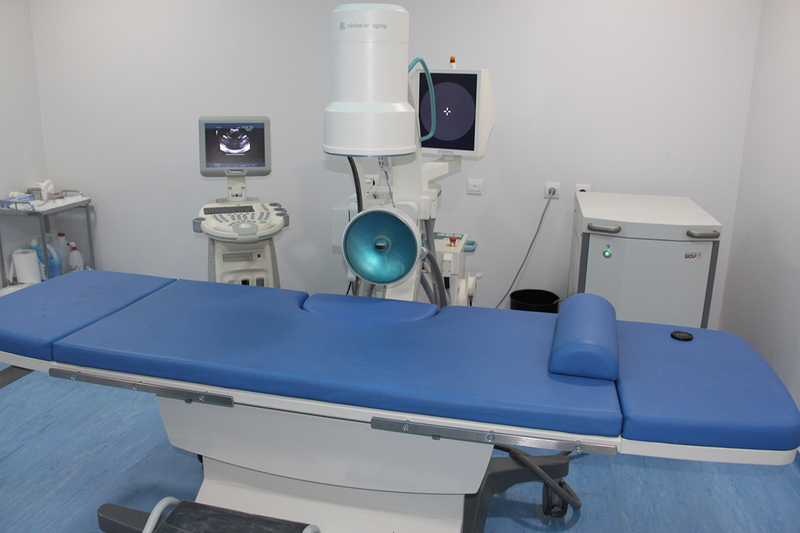 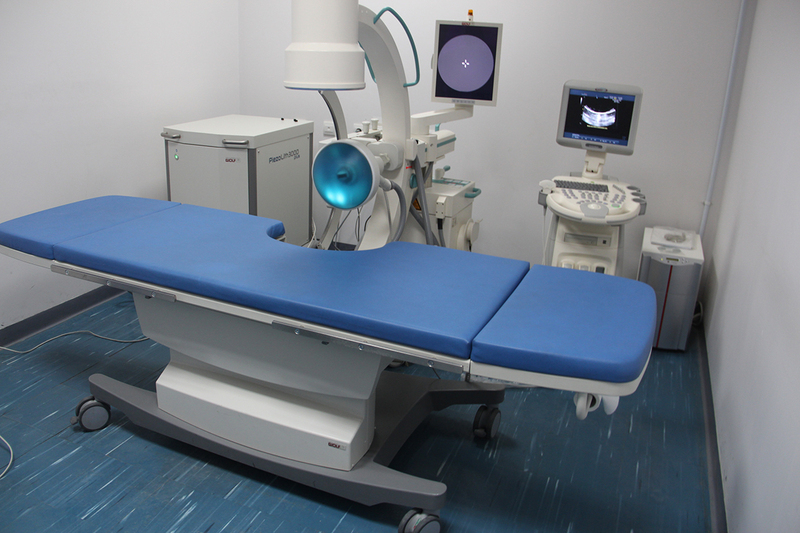 Trumpf OT lights, pendants, and surgical tables "
"Trumpf OT lights with HD camera, pendants, and surgical tables "
Mega Pulse laser lithotripsy system 30 W from Richard Wolf state-of-art equipment. 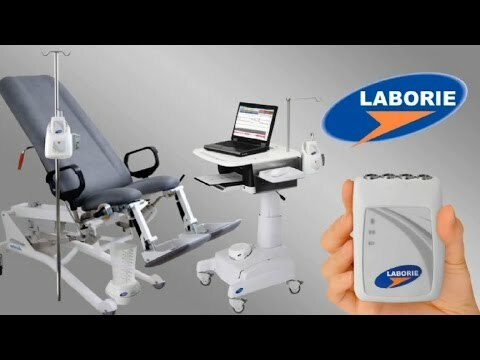 Cleveland Clinic is one of the important references for our Urodynamic system that is preforming many UD cases using our Laborie Dordao system that is an all-in-one practical system that performs Urodynamic, Biofeedback and Anorectal Manometry studies on one convenient cart. 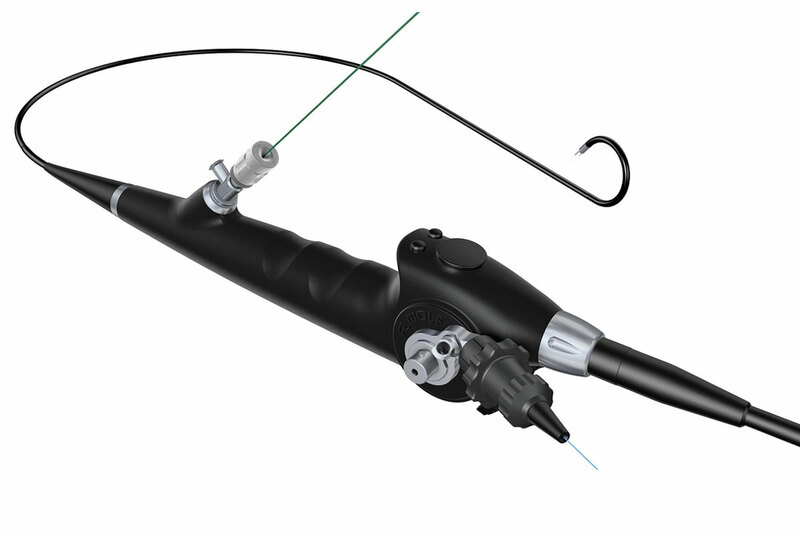 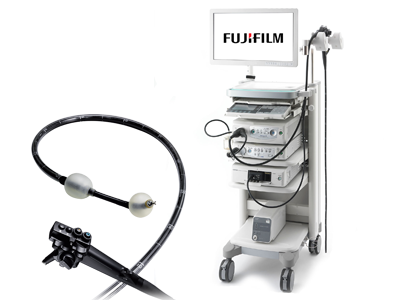 The hospital is minimal-invasive examination of the entre small intestine using the double-balloon method that is a milestone in the field of endoscopy and unique products from FujiFilm. 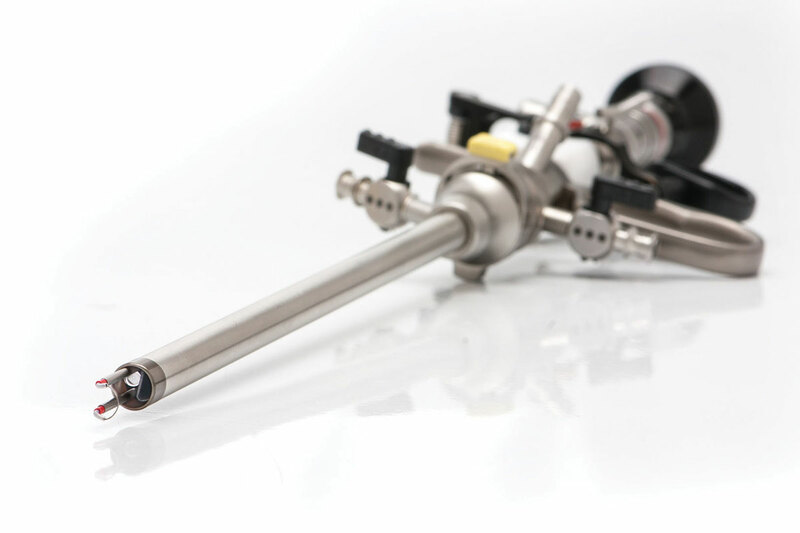 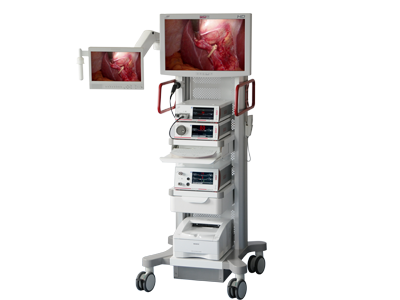 A technology that has greatly contributed to accurate diagnosis and treatment for diseases of the small intestine. 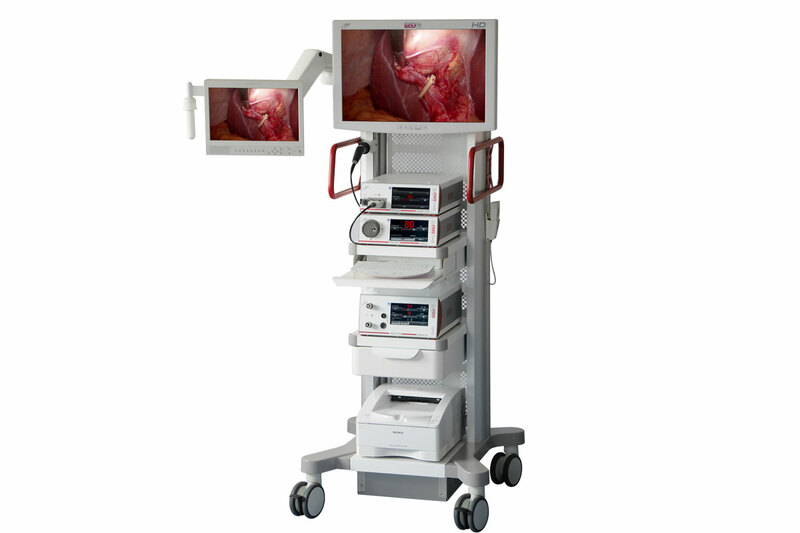 Full HD Surgical Laparoscopy tower from Richard Wolf state-of-art equipment. 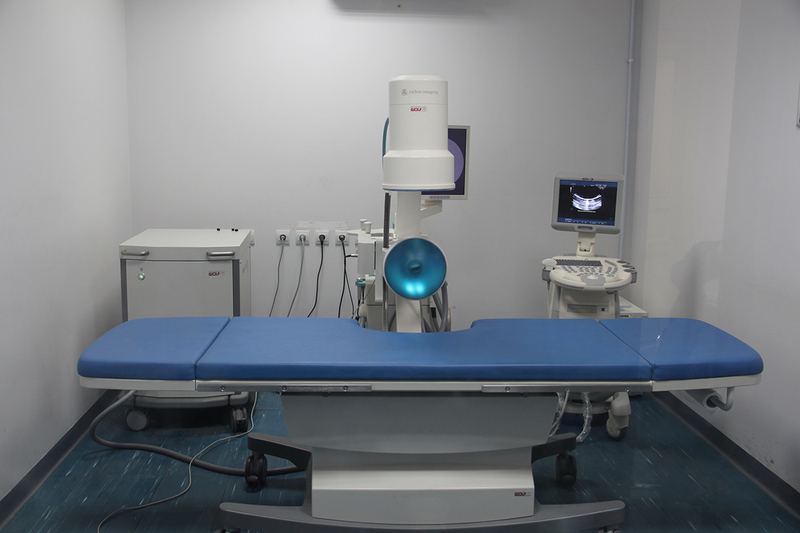 Two (2) Full HD Diagnostic & Surgical Endoscopy towers from Richard Wolf state-of-art equipment, for Urology & Laparoscopy specialties and complete range urology, Laparoscopy instruments. 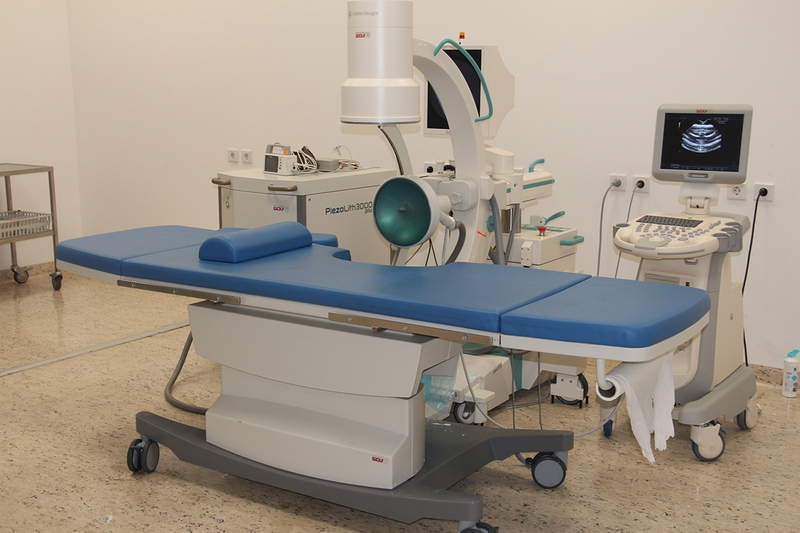 Richard Wolf cutting edge technology of PiezoLith 3000 Plus lithotripsy system. 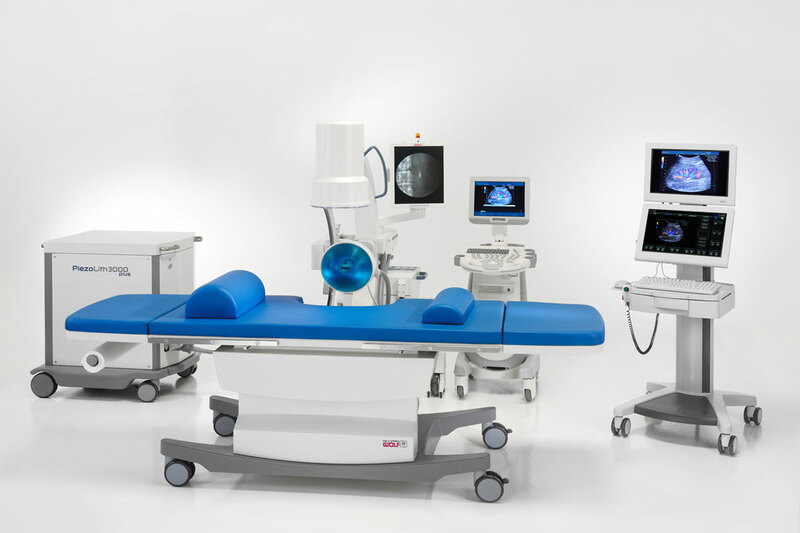 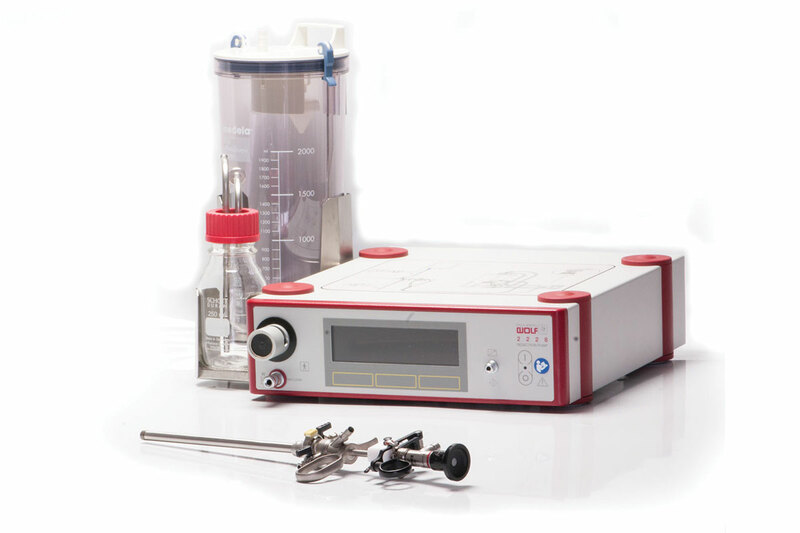 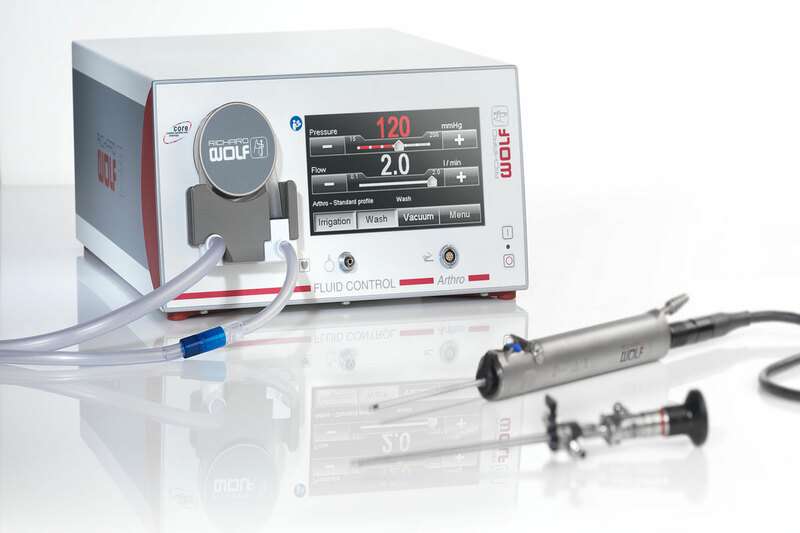 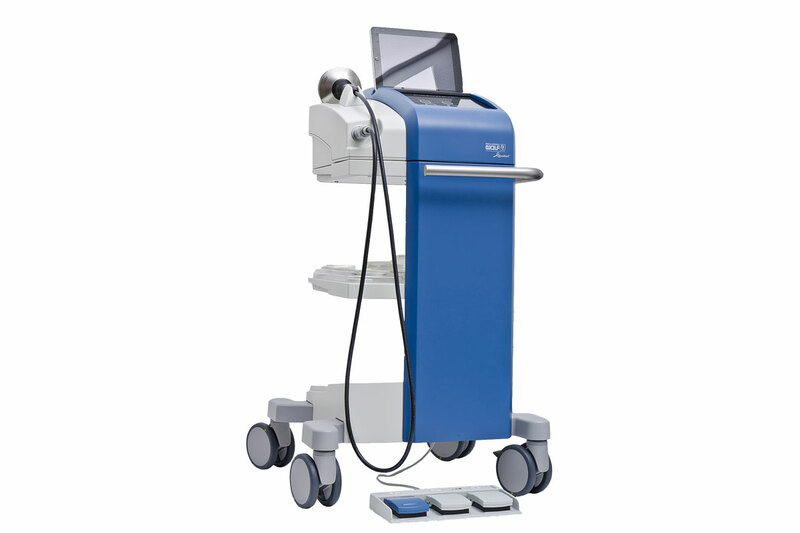 Laborie Triton system state-of-art urodynamic equipment. 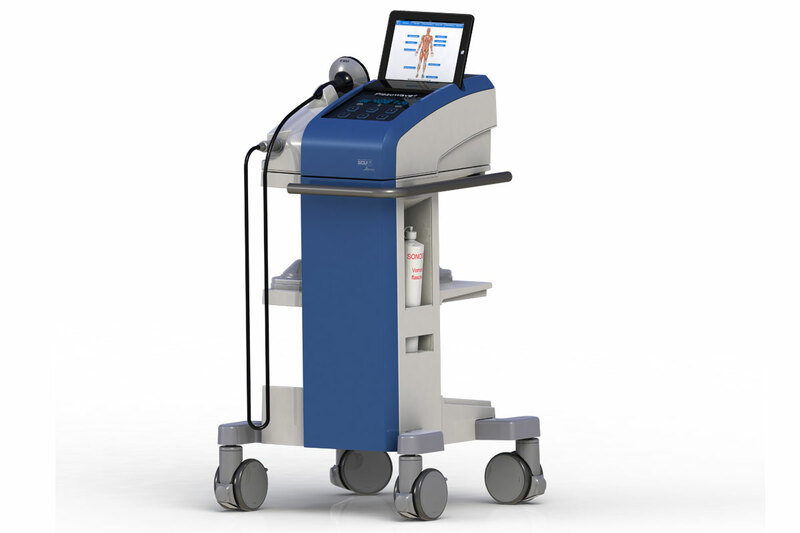 Prior to the purchase of the innovative Richard Wolf PiezoWave-2 System, Healthpoint Hospital physiotherapy department has conducted few months time study on the effect of this technology for the treatment of acute and chronic pain of the musculoskeletal system. 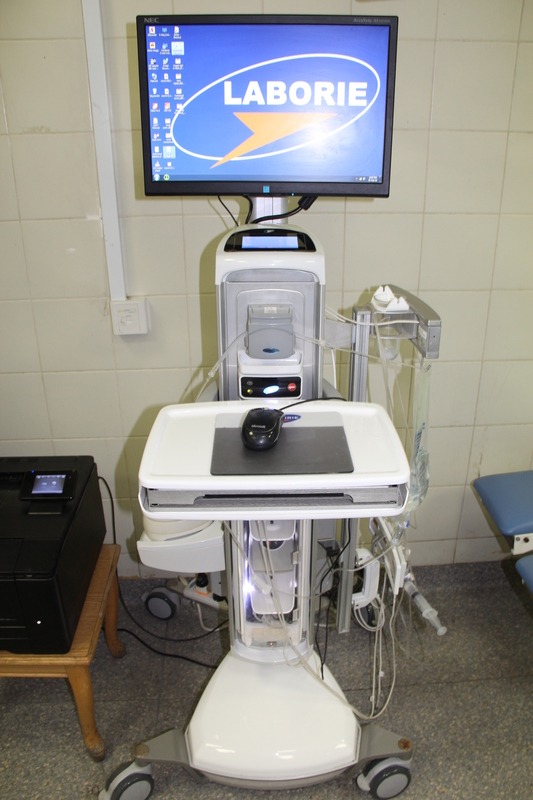 The technology found to be very effective and has improved the outcome on patients rehabilitation in shorter time. 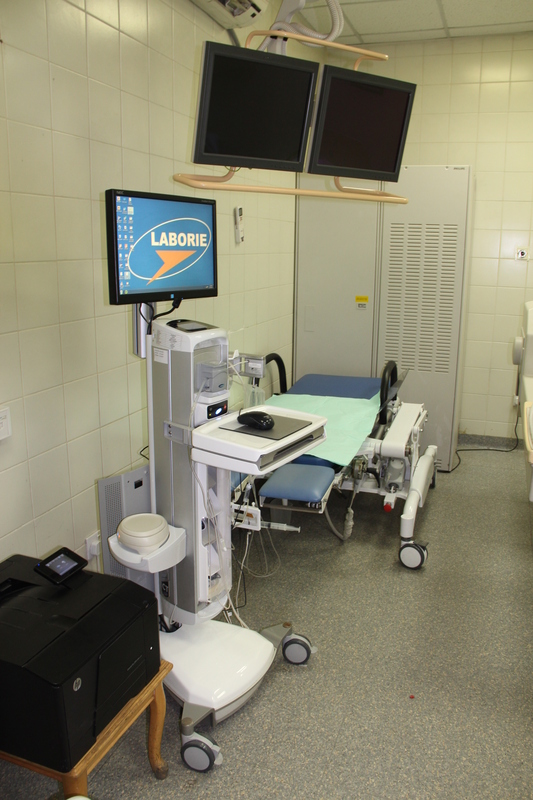 Laborie Triton system state-of-art urodynamic equipment. 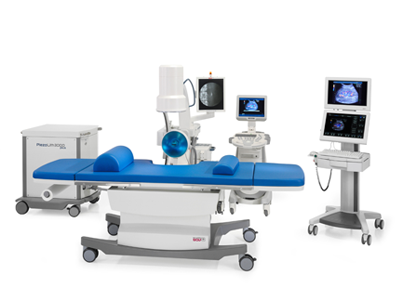 Three (3) Full HD Diagnostic & Surgical Endoscopy towers from Richard Wolf state-of-art equipment, for Arthroscopy & Laparoscopy specialties. 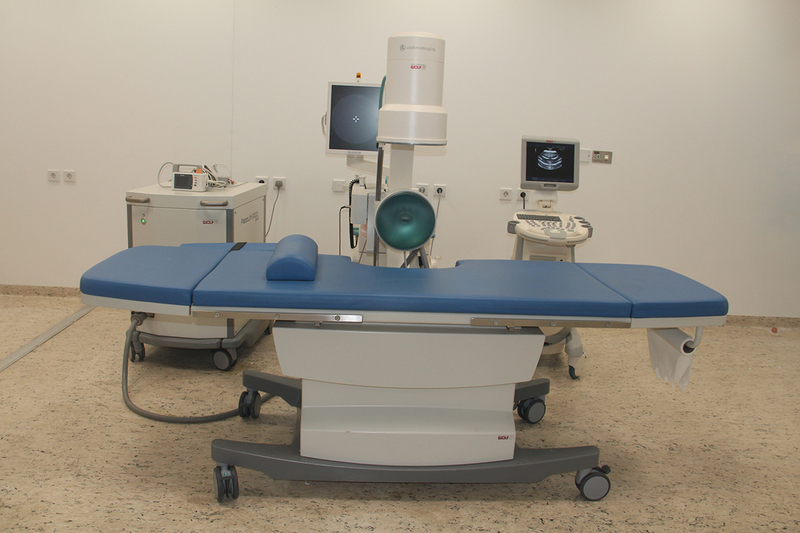 Richard Wolf cutting edge technology of PiezoLith 3000 Plus lithotripsy system. 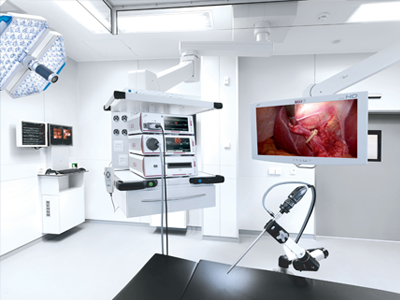 Full HD Surgical Laparoscopy & Urology tower from Richard Wolf state-of-art equipment and complete range Laparoscopy & Urology instruments. 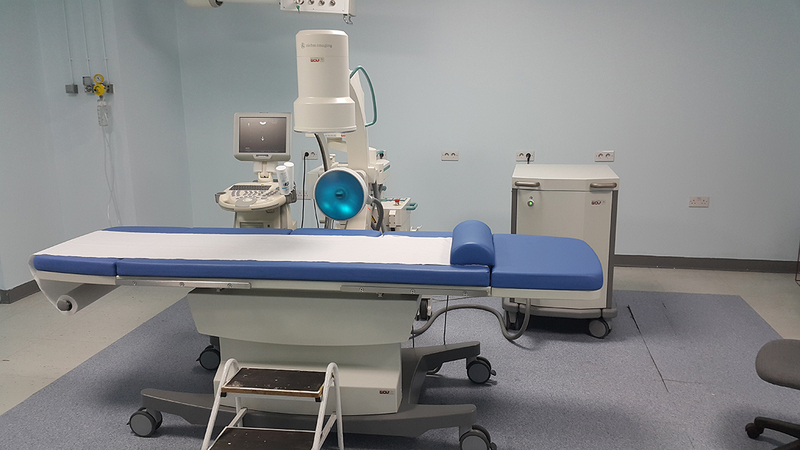 Richard Wolf cutting edge technology of PiezoLith 3000 Plus lithotripsy system. 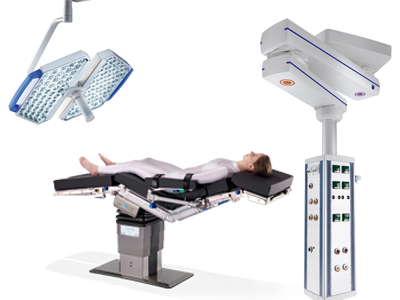 Full HD Surgical Laparoscopy & Urology tower from Richard Wolf state-of-art equipment and complete range Laparoscopy & Urology instruments. 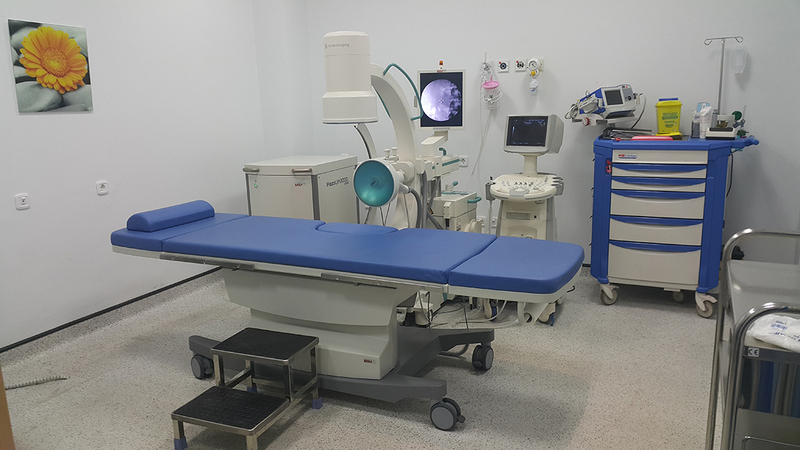 Four (4) Full HD Diagnostic & Surgical Endoscopy towers from Richard Wolf state-of-art equipment, for gynecology, laparoscopy & Urology specialties. 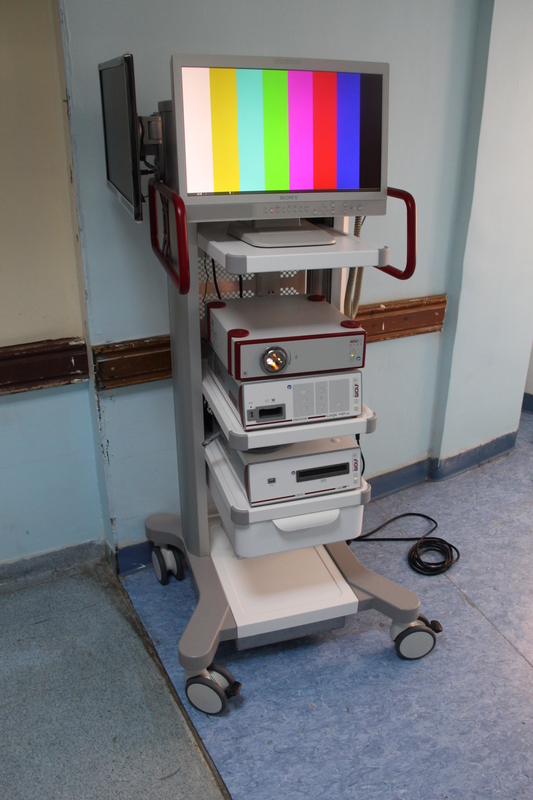 Three (3) Full HD Diagnostic & Surgical Endoscopy towers from Richard Wolf state-of-art equipment, for gynecology, laparoscopy & ENT specialties. 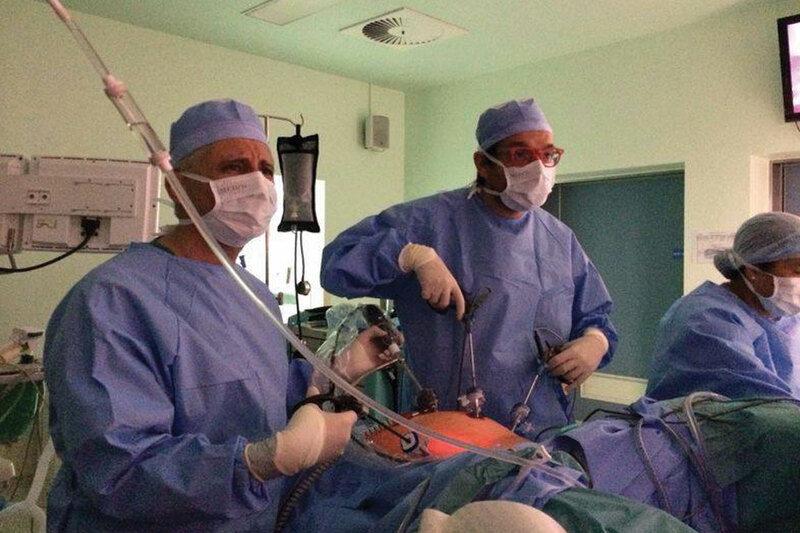 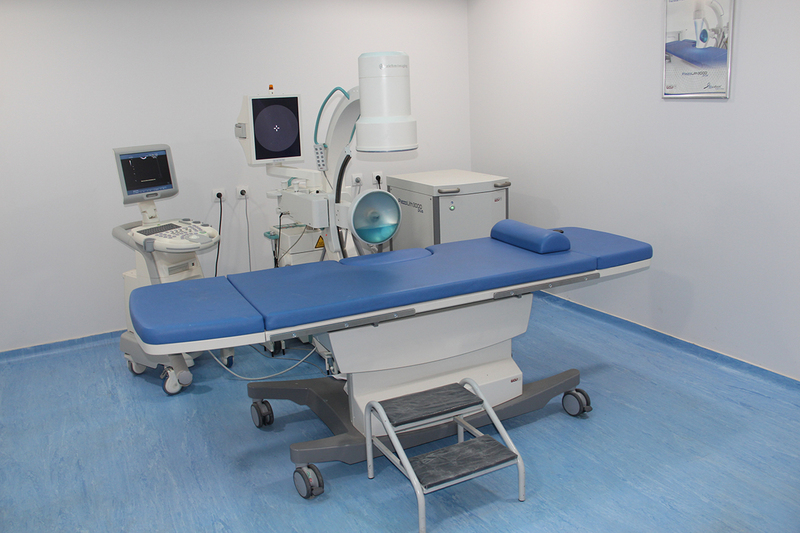 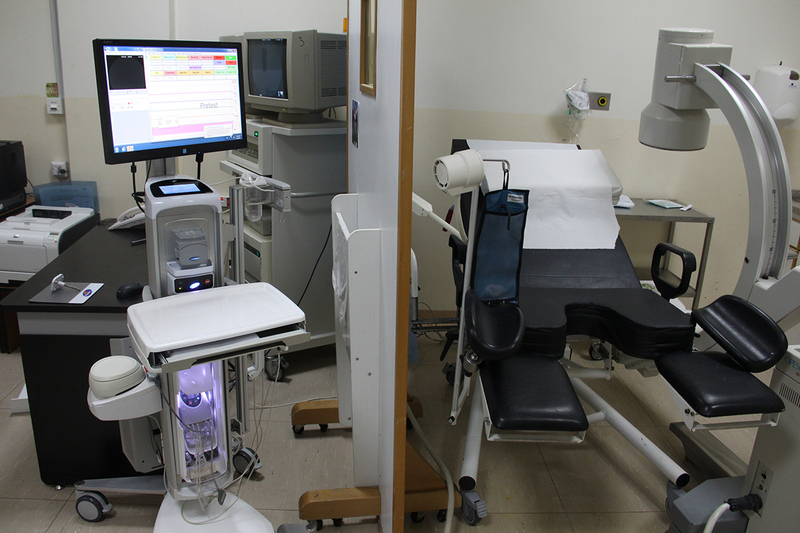 JUH urodynamic clinic using Laborie Goby system state-of-art urodynamic equipment. 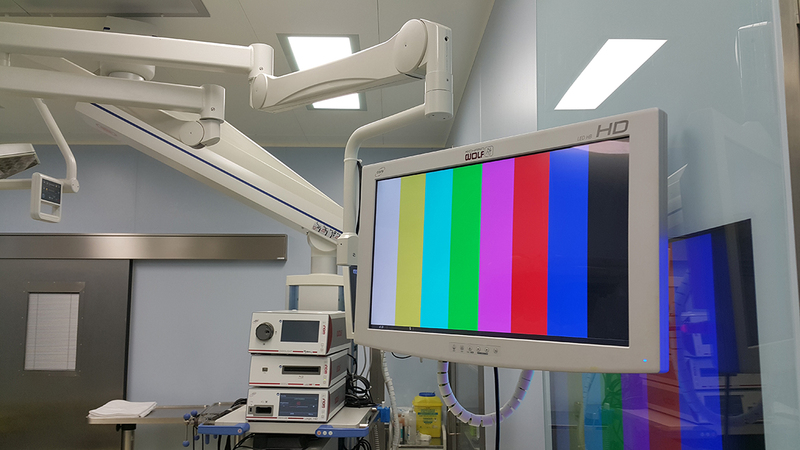 Seven (7) Full HD Diagnostic & Surgical Endoscopic towers for ENT from Richard Wolf state-of-art equipment. 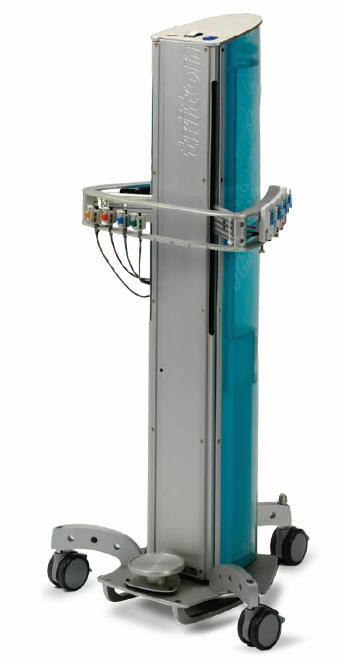 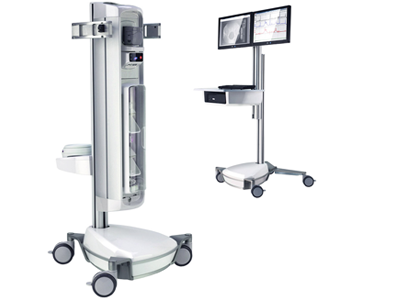 Full HD Surgical Laparoscopy tower from Richard Wolf state-of-art equipment. 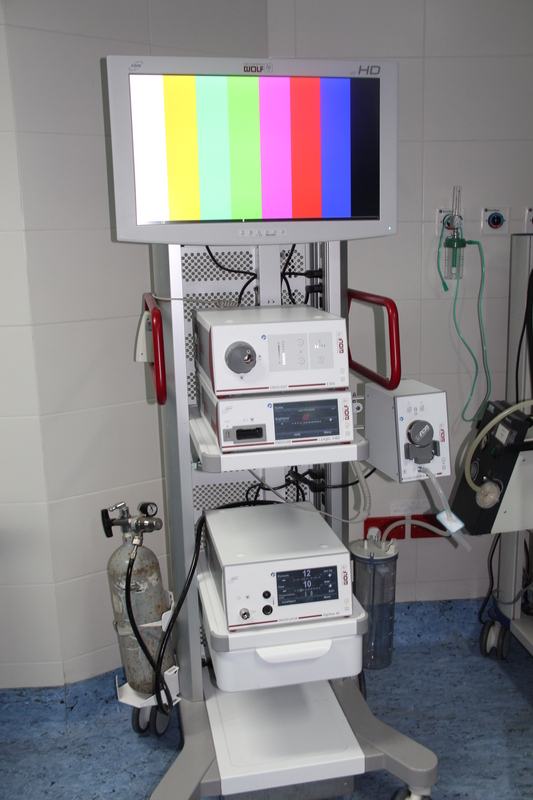 Full HD Diagnostic & Surgical Endoscopy tower for thoracic surgeries from Richard Wolf state-of-art equipment. 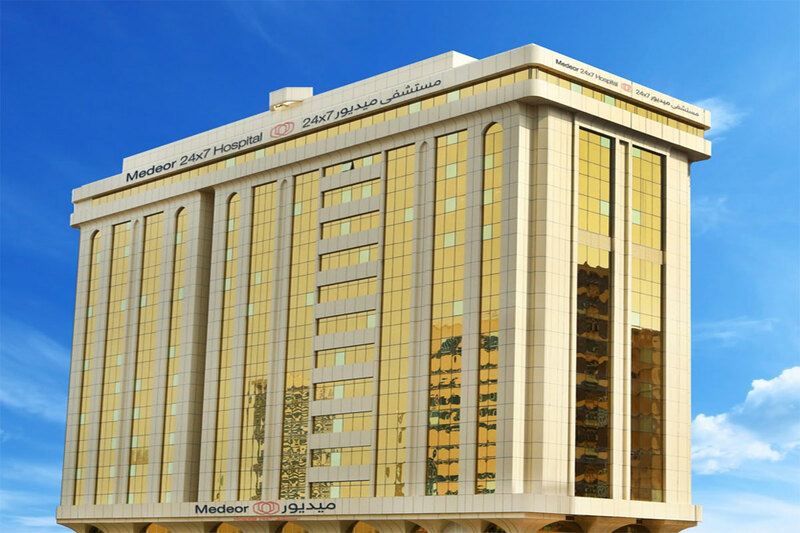 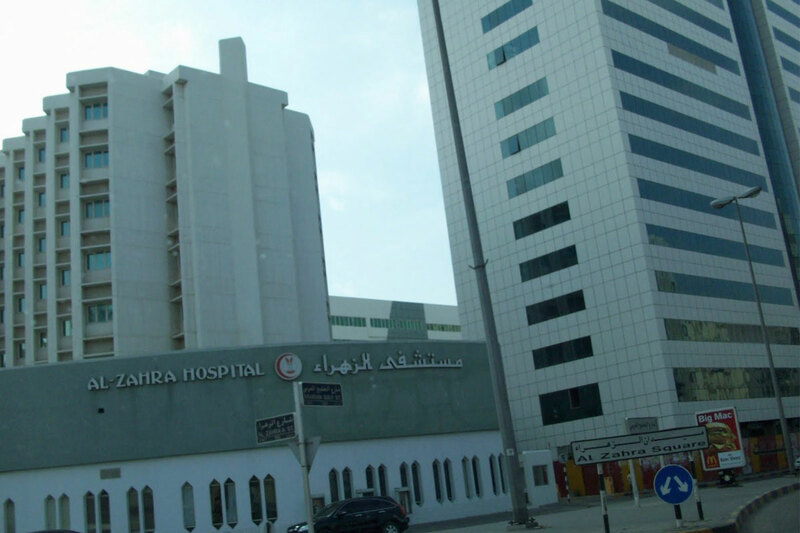 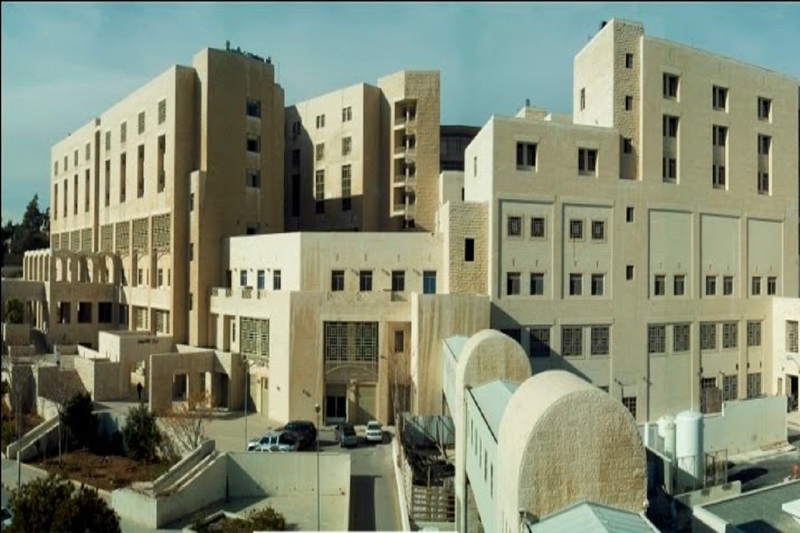 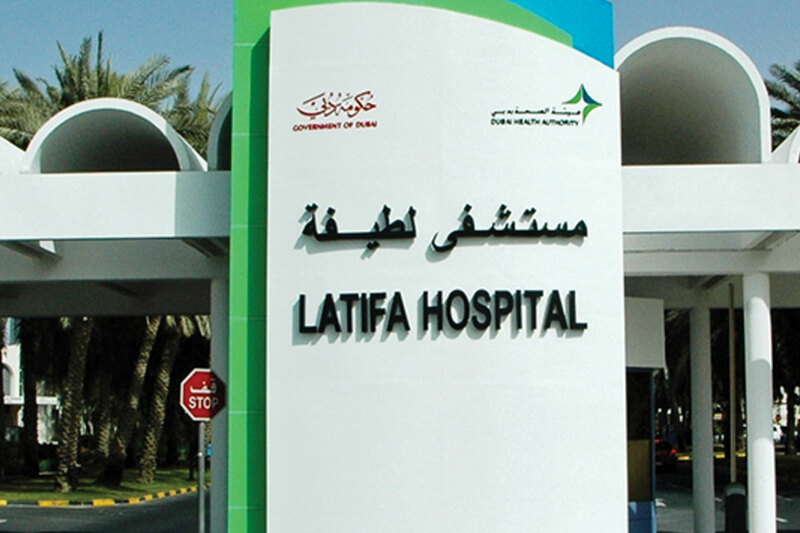 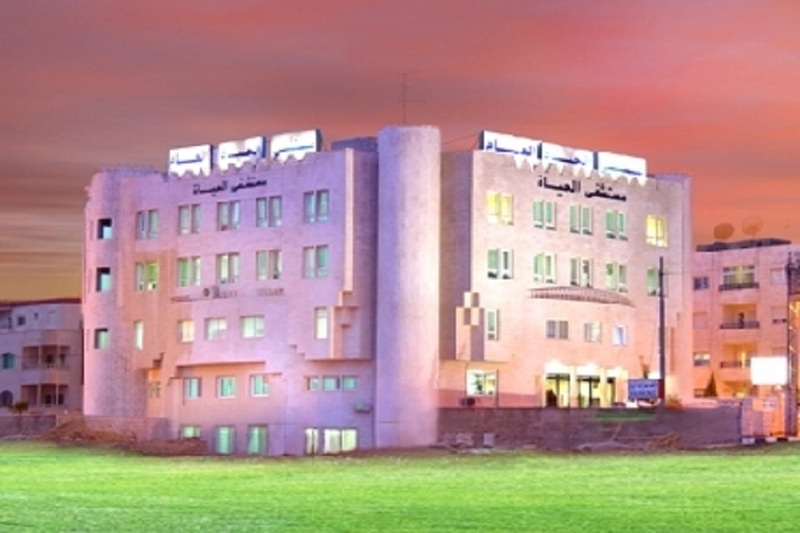 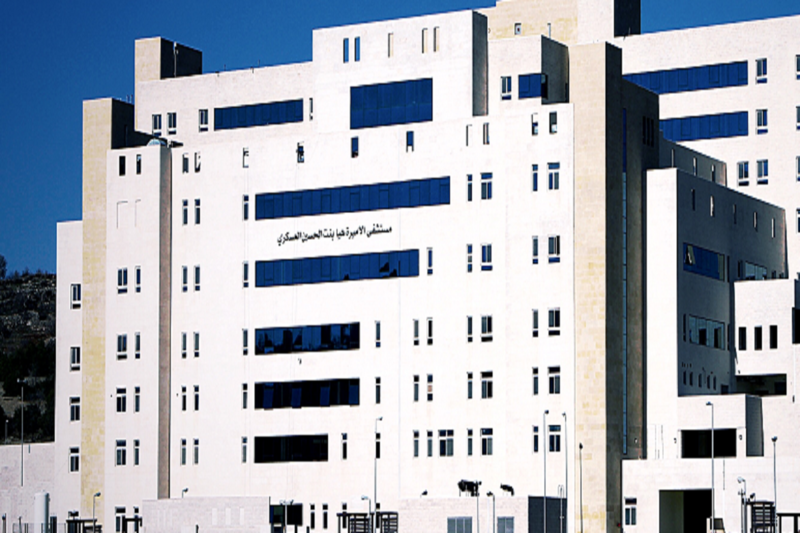 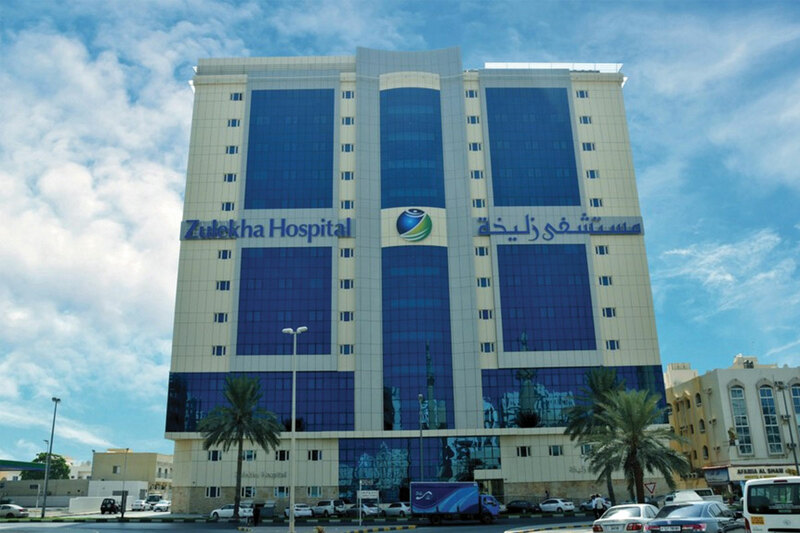 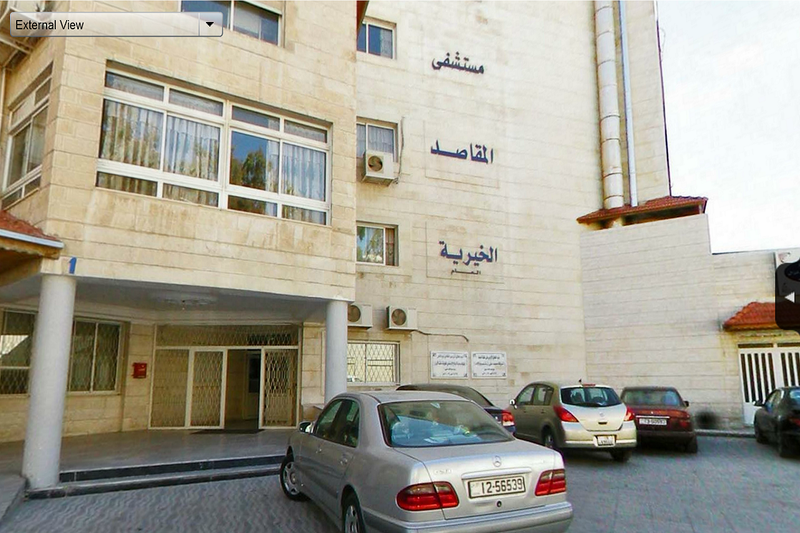 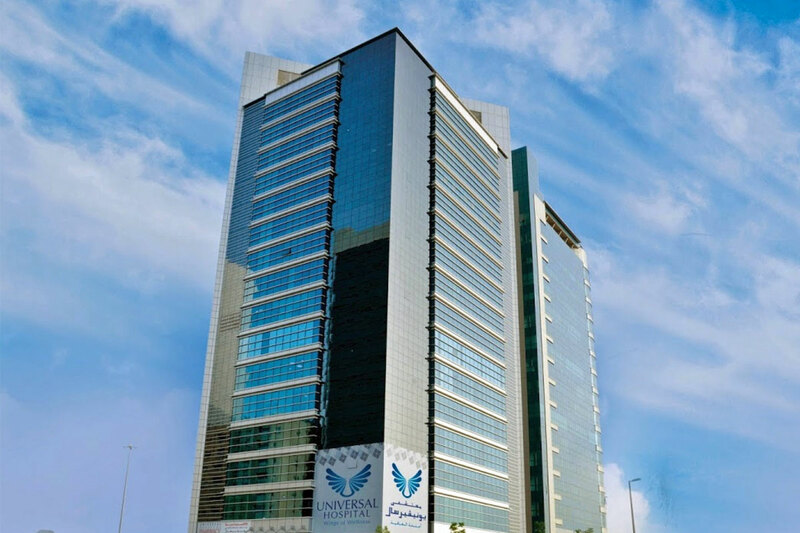 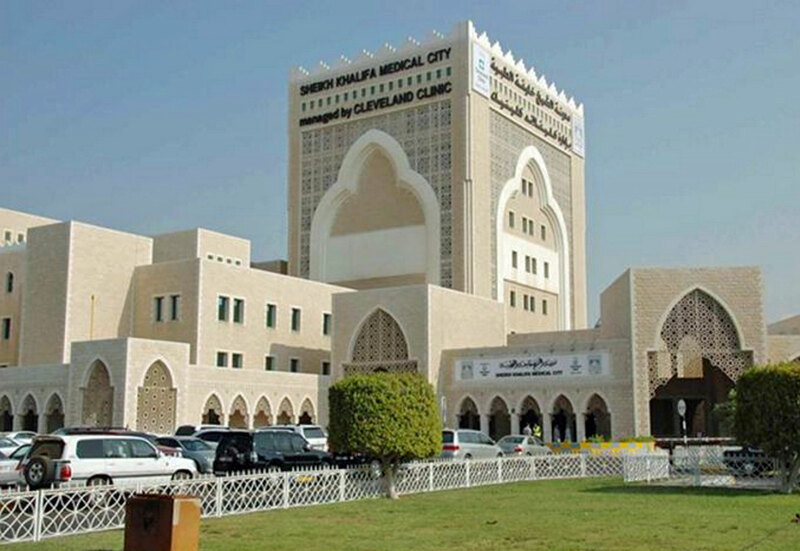 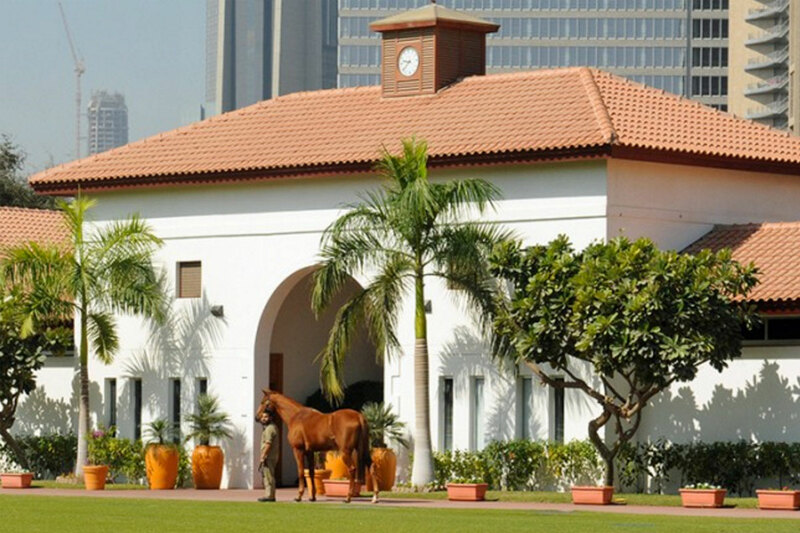 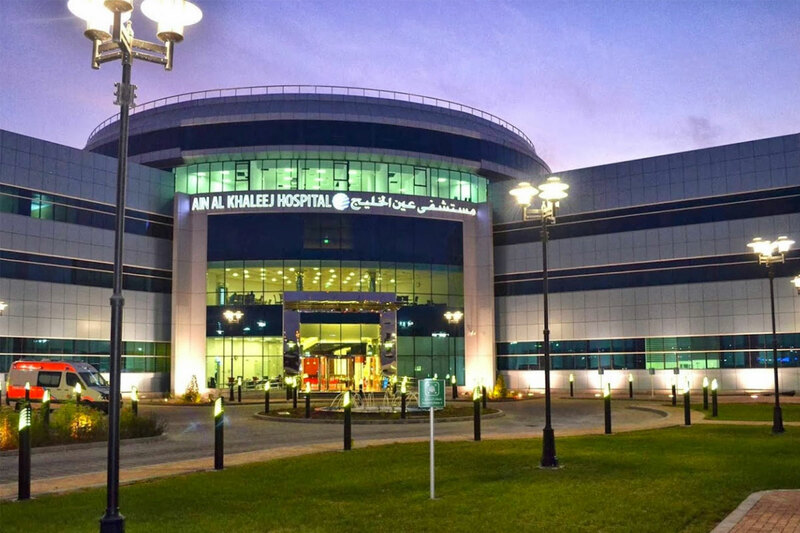 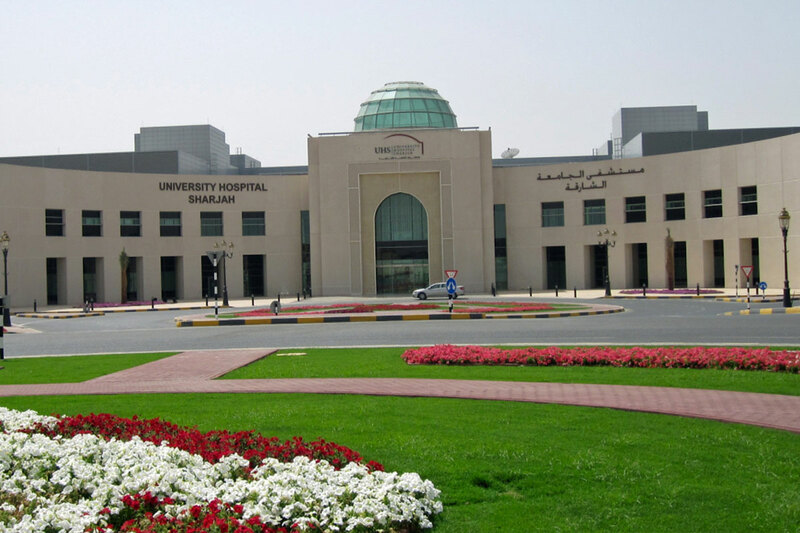 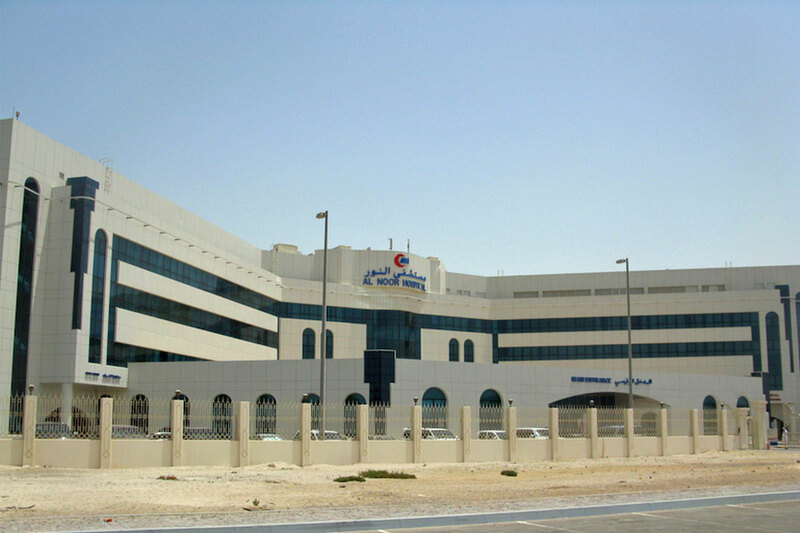 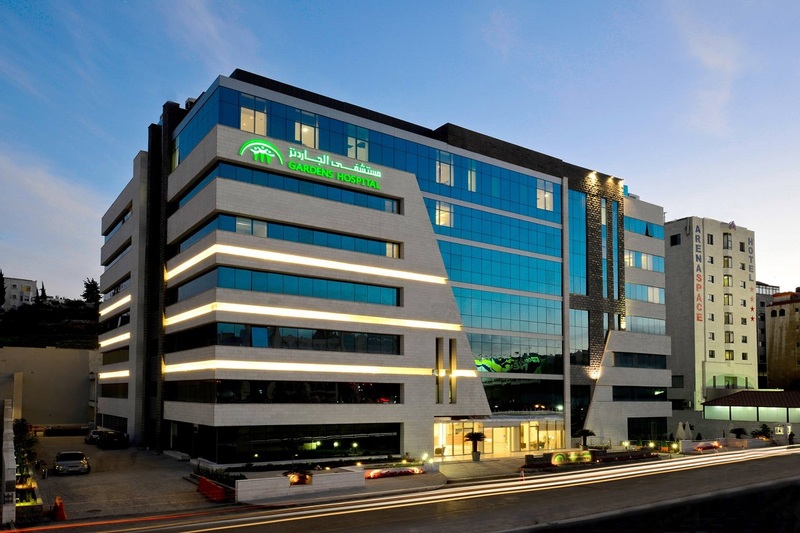 Latifa Hospital is one of the largest maternity and children's hospitals in UAE and was built in 1987. 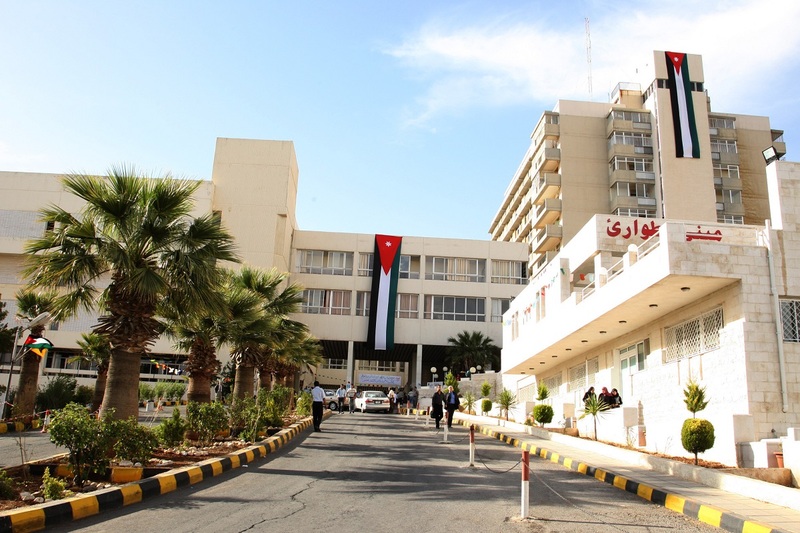 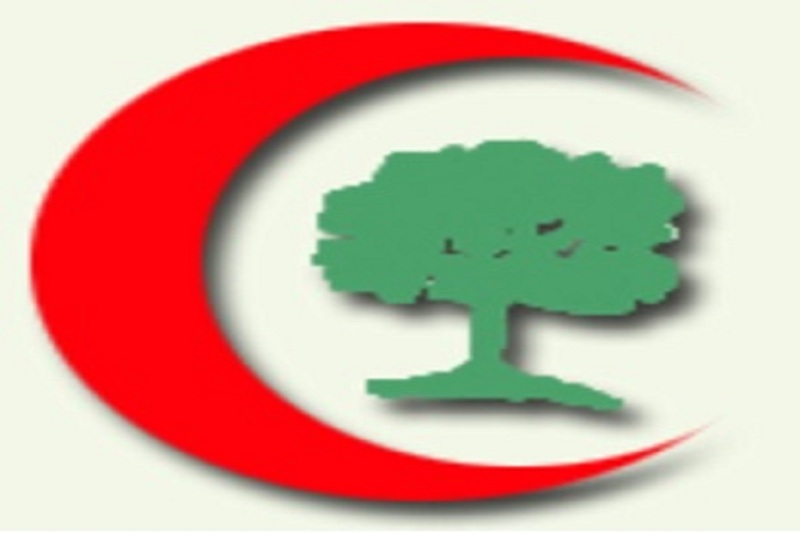 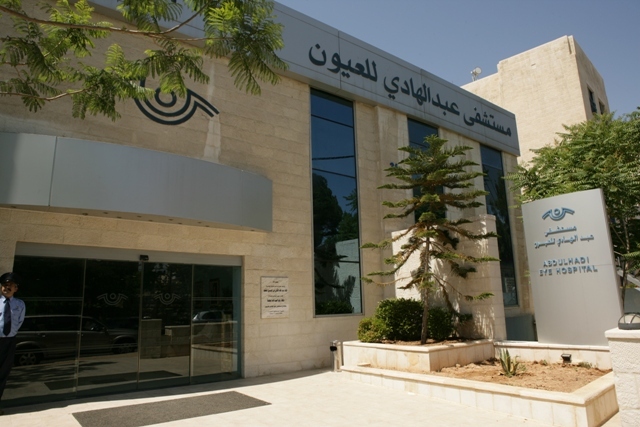 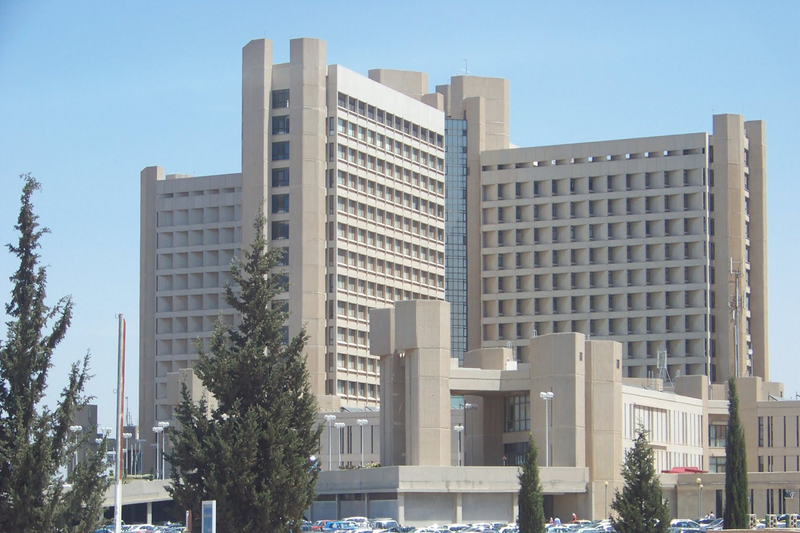 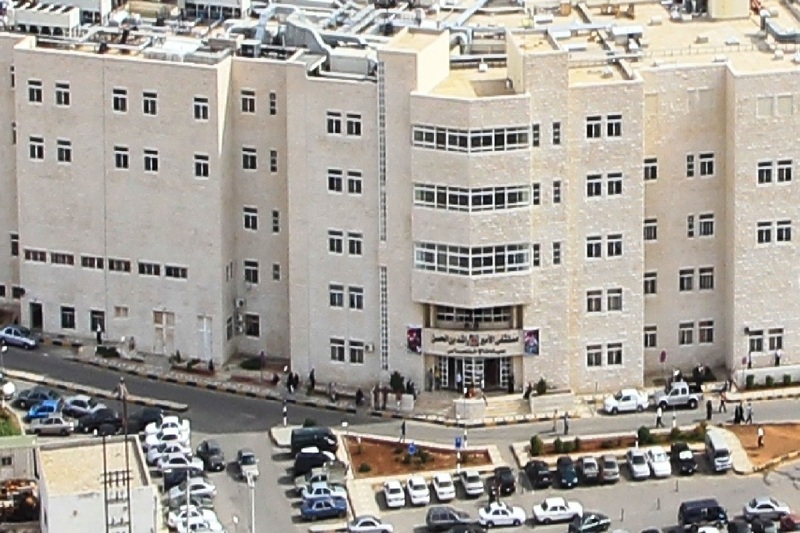 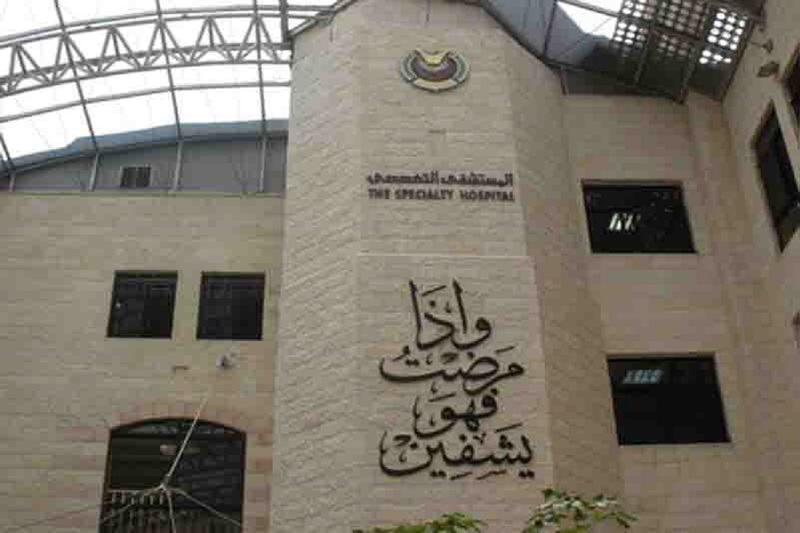 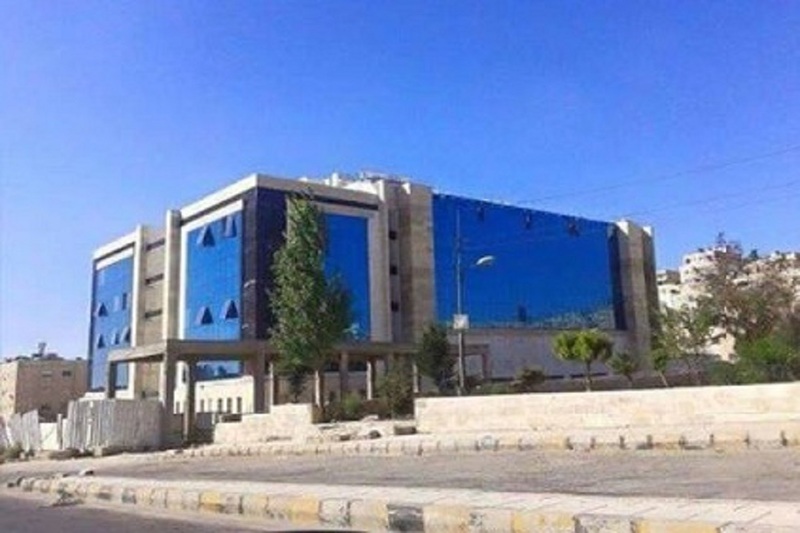 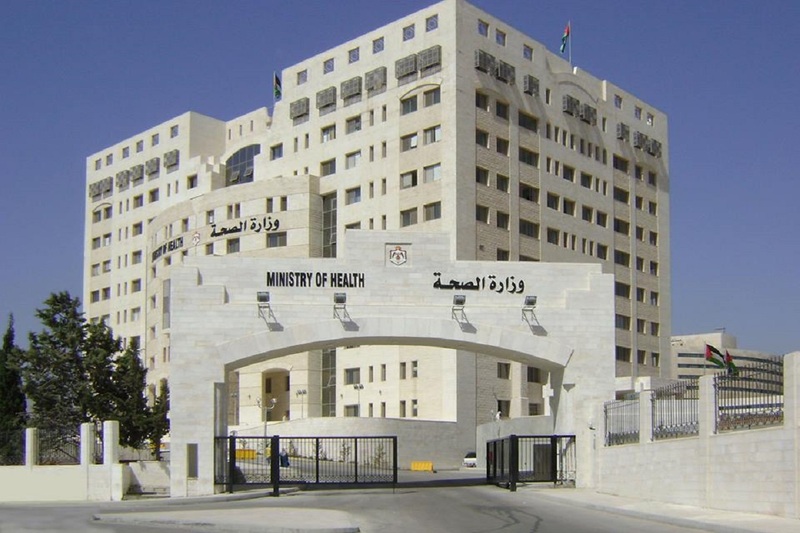 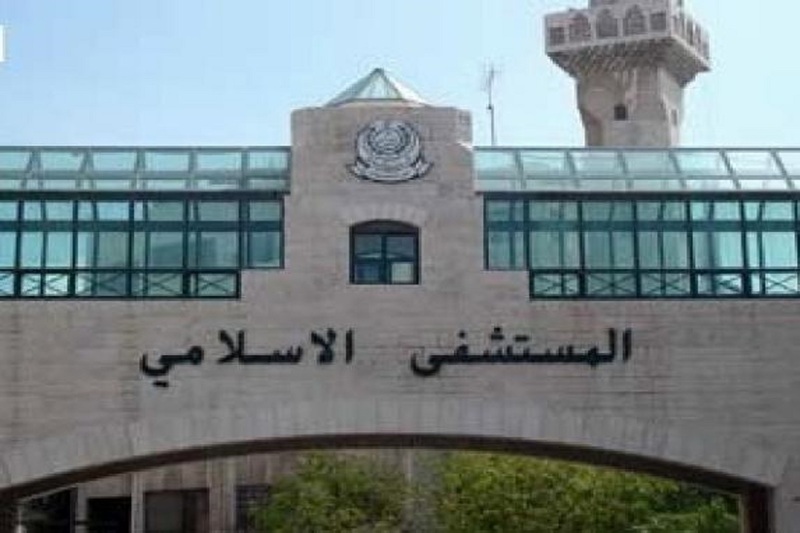 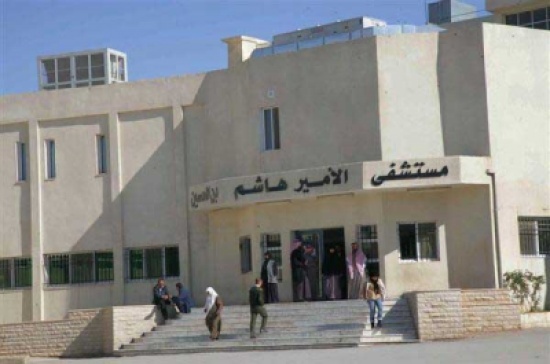 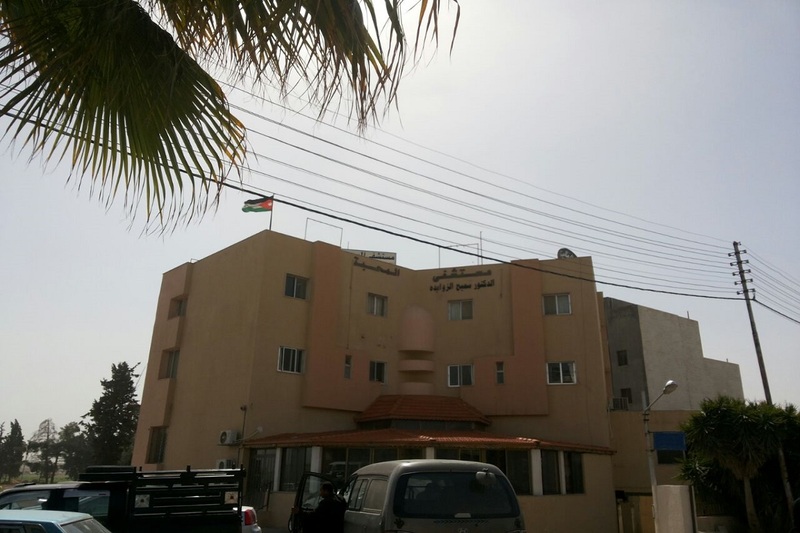 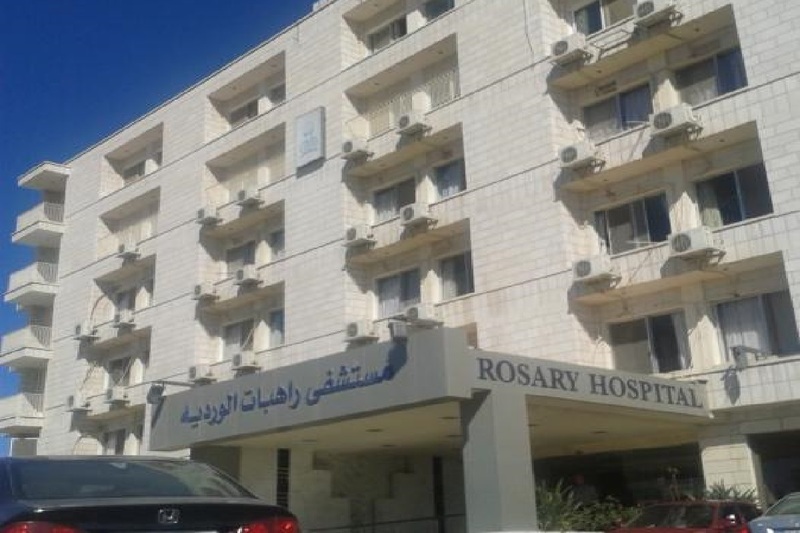 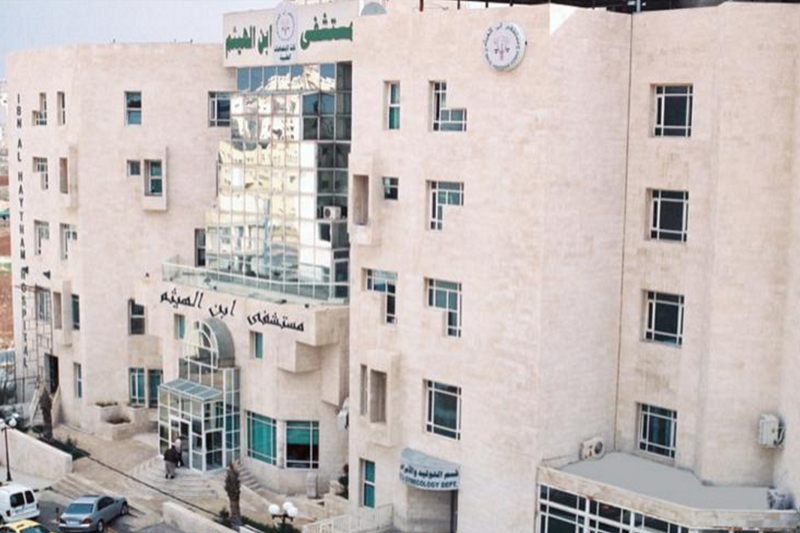 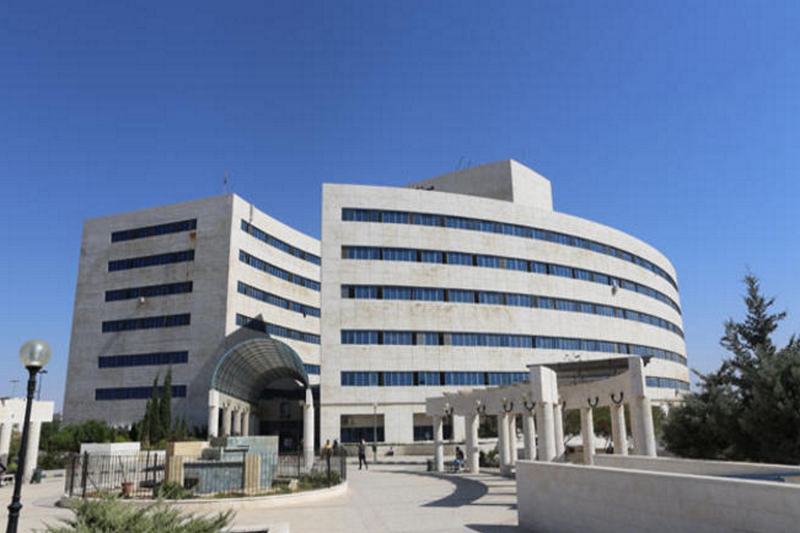 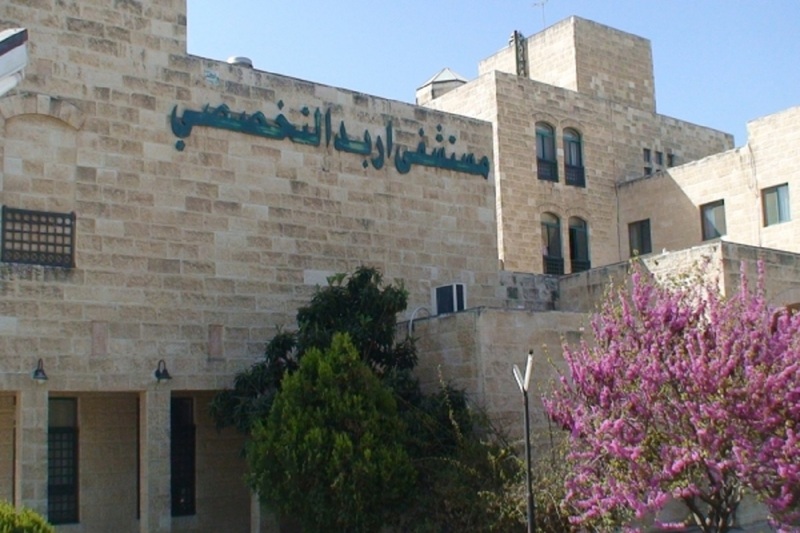 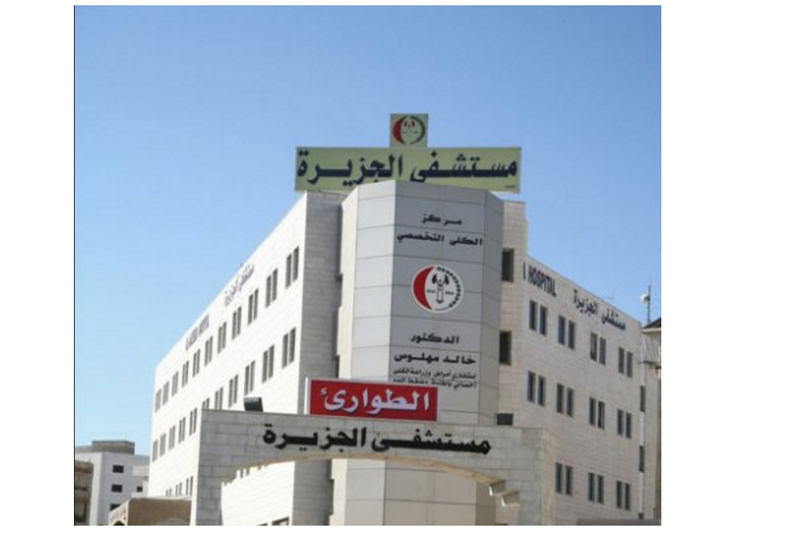 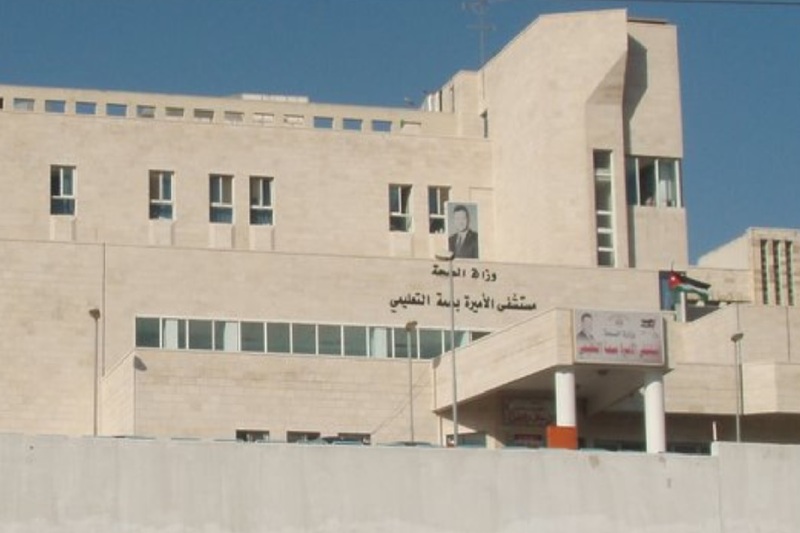 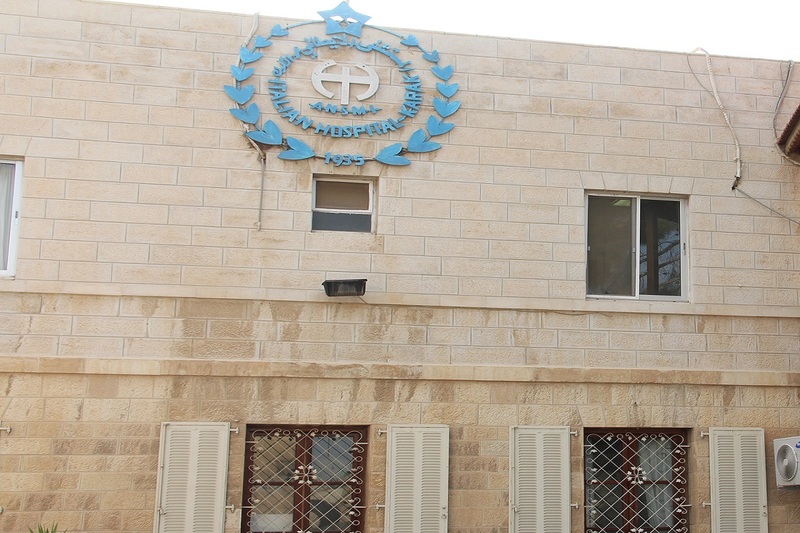 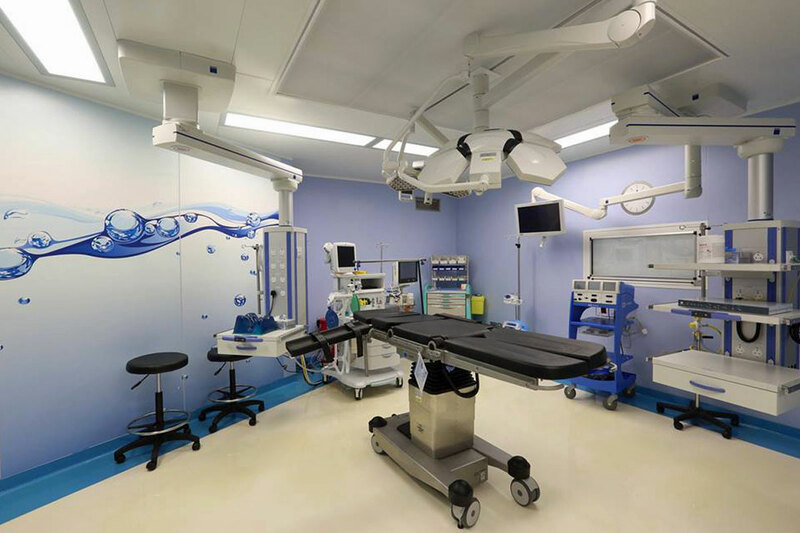 FourMed awarded the contract of renovation of Operation Theaters to digitally Integrated with the Hospital HIS, Medical Equipment within the Surgical Field. 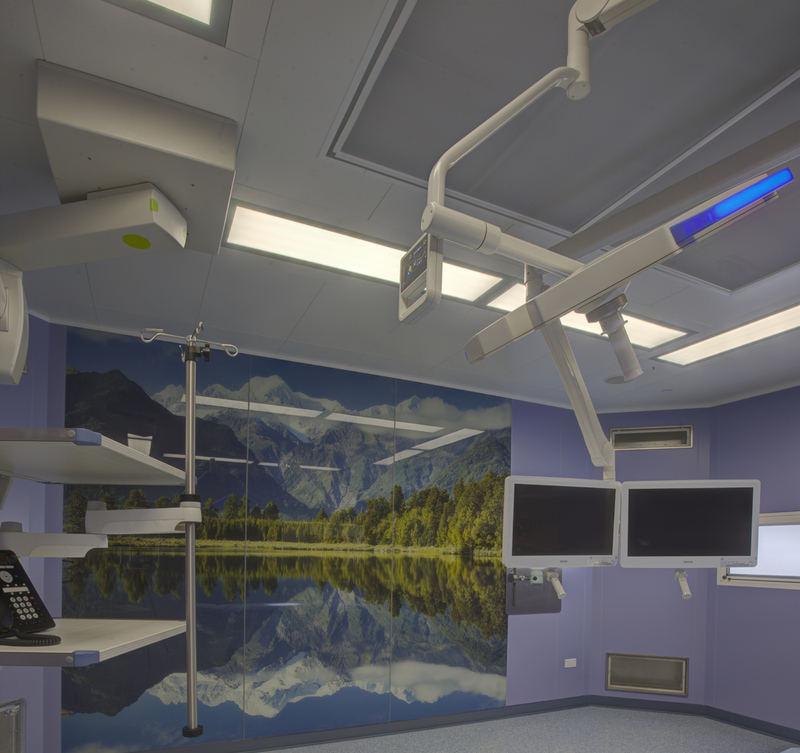 Richard Wolf Core nova Integration System, and TRUMPF Medical System - TruPort Ceiling Pendants & TruLight 5000 Surgical Lights. 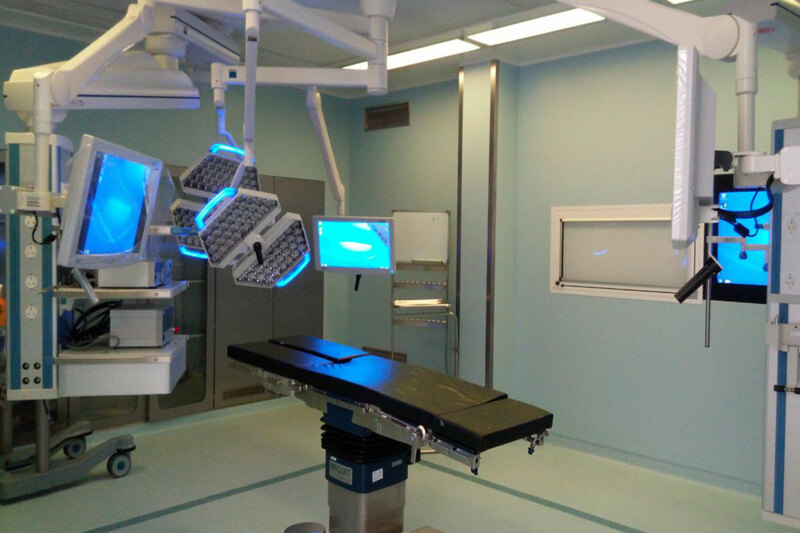 "Trumpf OT lights with HD camera, pendants, and surgical tables Richard Wolf Core Nova integration system "
Four (4) Full HD Diagnostic & Surgical Endoscopy towers from Richard Wolf state-of-art equipment, for gynecology, laparoscopy & Urology specialties. 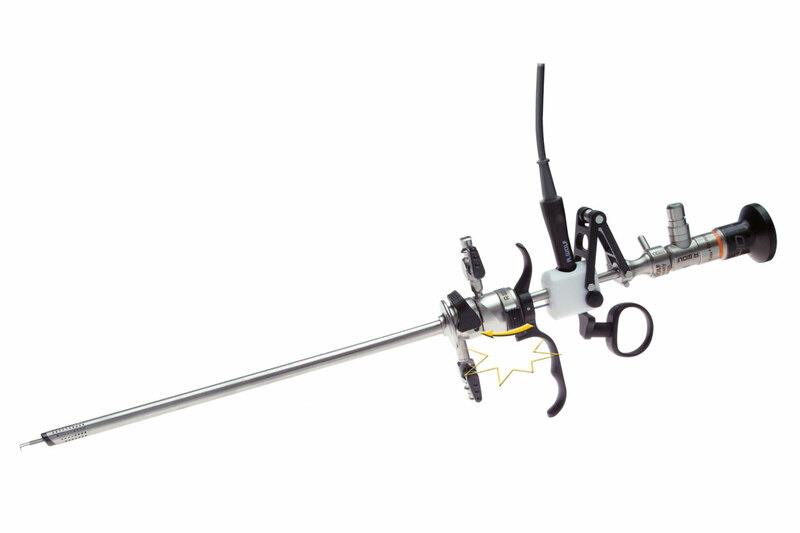 Full HD Surgical Laparoscopy tower from Richard Wolf state-of-art equipment and complete range Laparoscopy instruments. 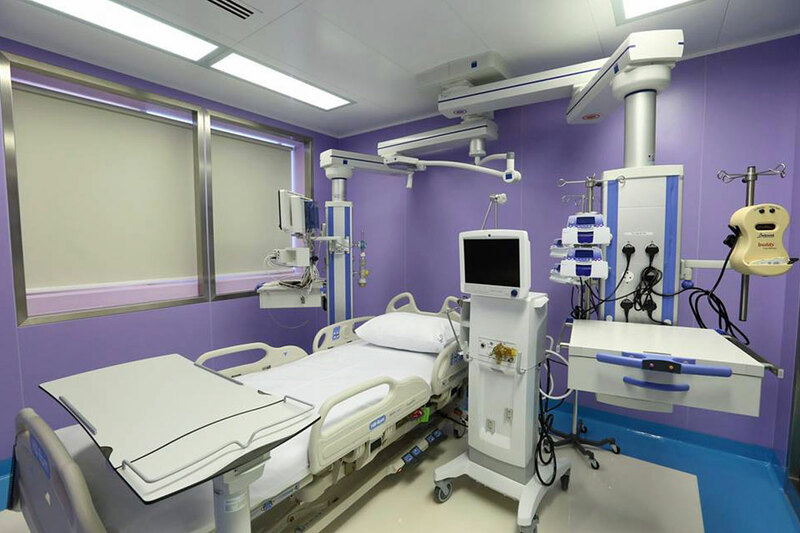 Provided all resources inclusive of labors, supervision, plant, equipment & materials to complete the Modular Surgical Suite of 4 Operating Rooms & Anti-Rooms, Cesarean Suite with 1 OR plus 3 LDRs & an ICU Suite with Seven Cubicles, Sterile Corridor & Anti-Rooms. 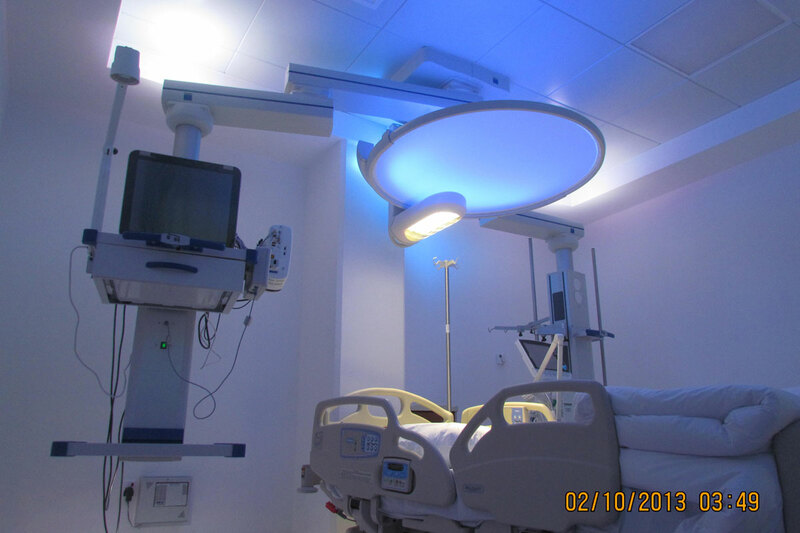 The extent of the Subcontract Works included the design, production, fabrication, supply, setting out, erection, delivery, installation, construction, testing, commissioning, and hand over to the client. 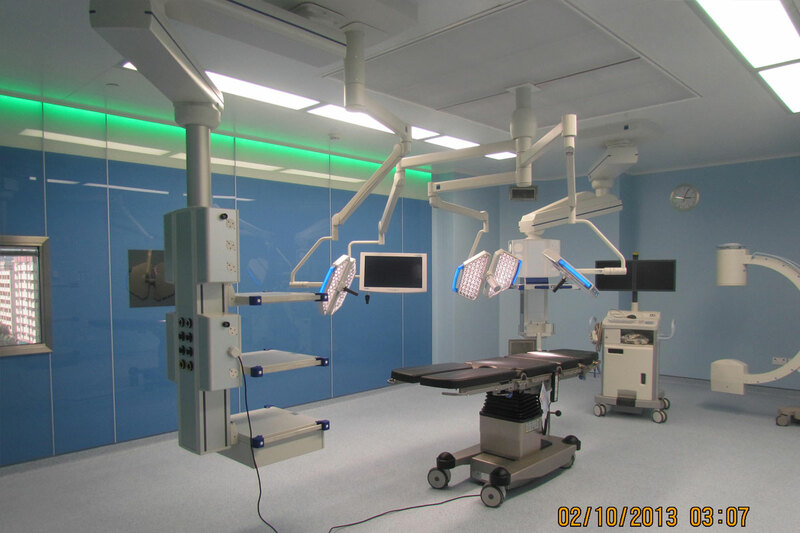 The solution included HT Wall Panels, S/S Doors, Ceiling Systems, Control Panels, Scrub Sinks, Illuminators & Glass Windows to form a complete room’s space. 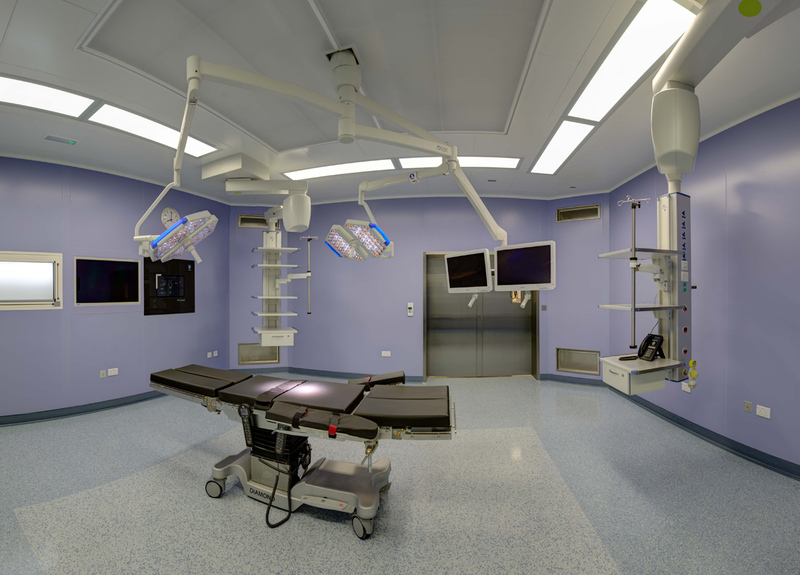 TRUMPF MEDICAL SYSTEMS - TruPort Ceiling Pendants, iLED / TruLight 5000 / TruLight 3000 / TruLight 1000 Surgical Lights & MARS Operating Tables. 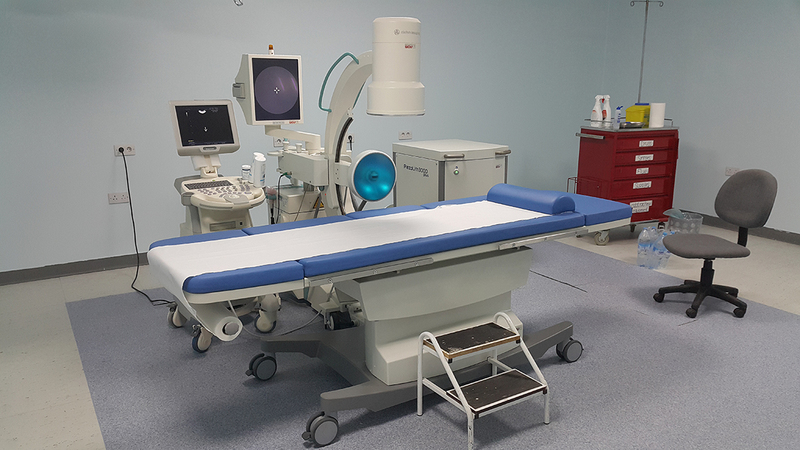 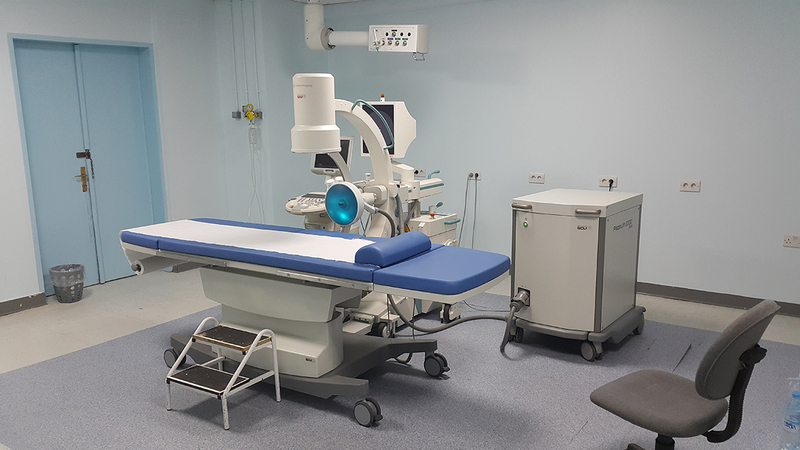 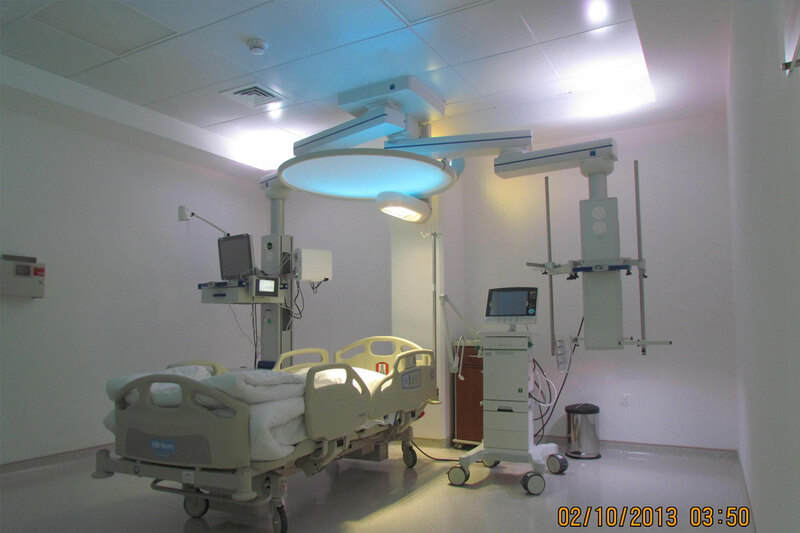 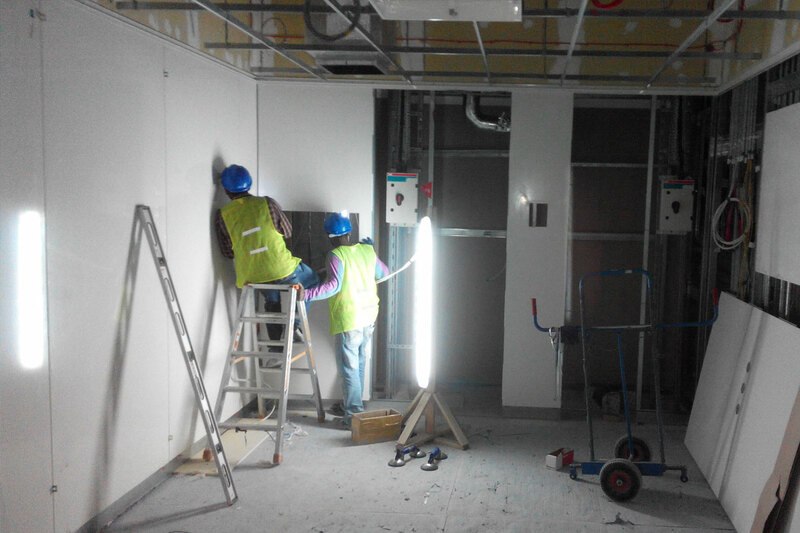 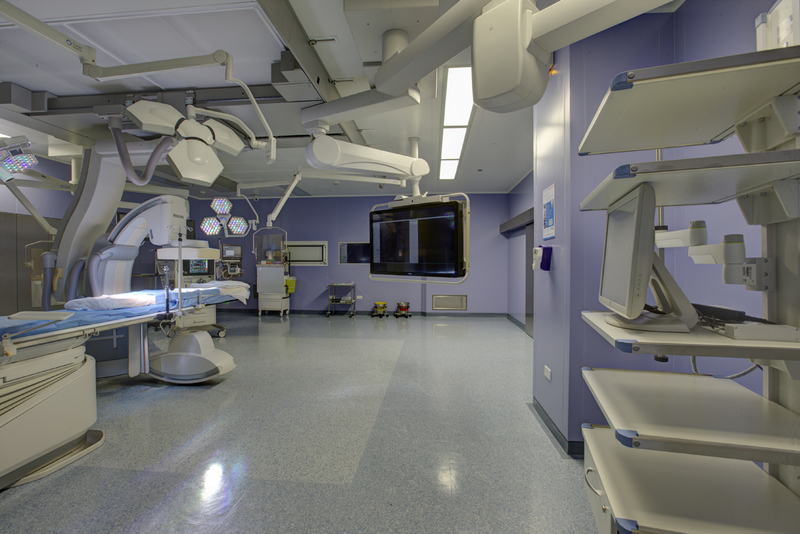 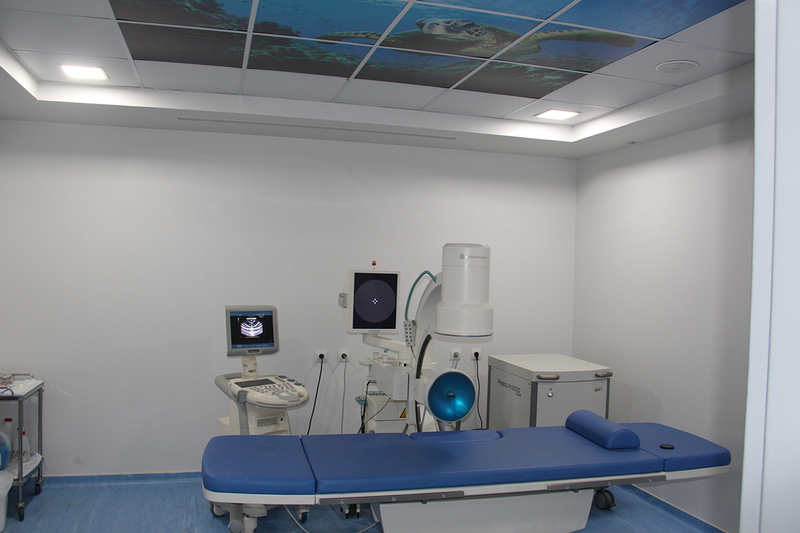 "HT Modular Solution for OR & ICU Trumpf OT lights, pendants, and surgical tables "
Al Mafraq Hospital Project is located in Mafraq, Abu Dhabi and UAE. 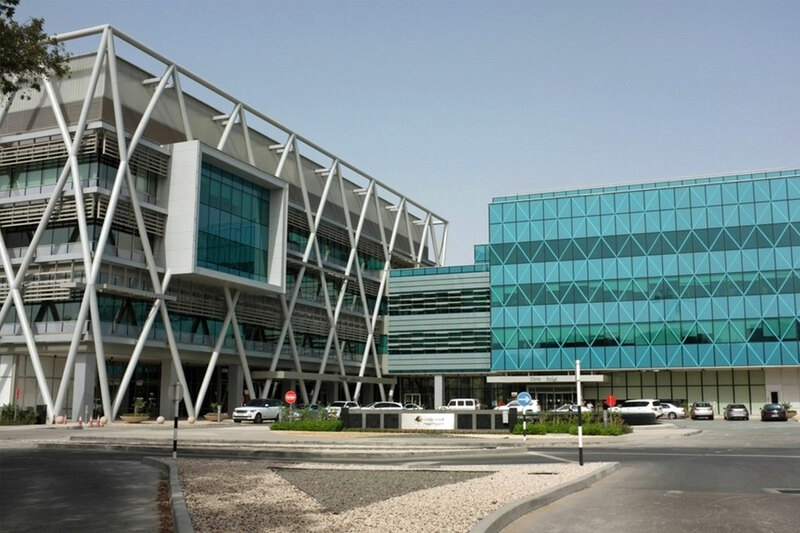 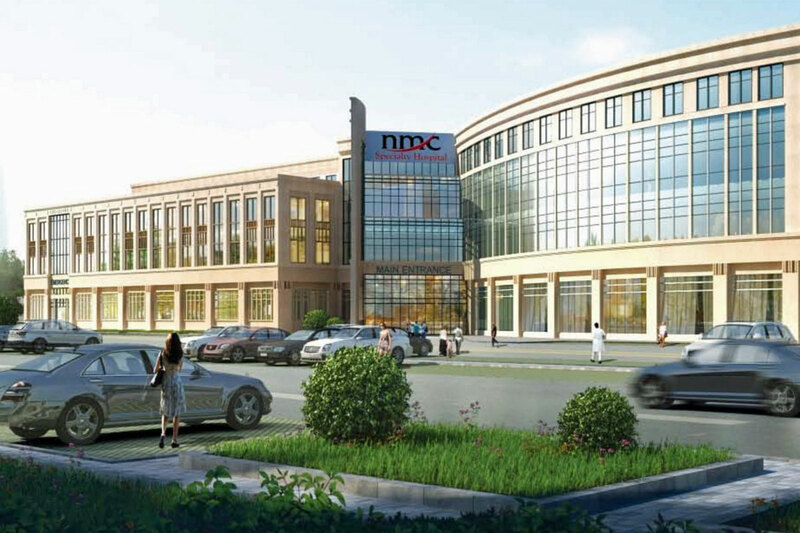 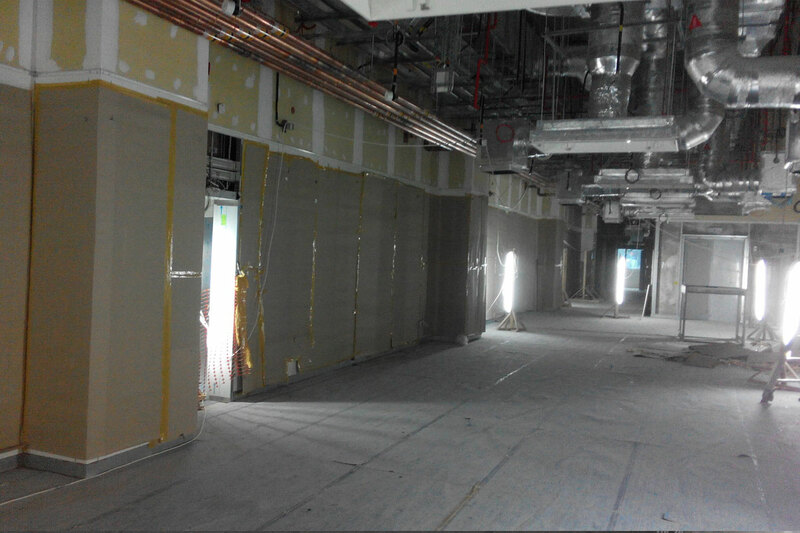 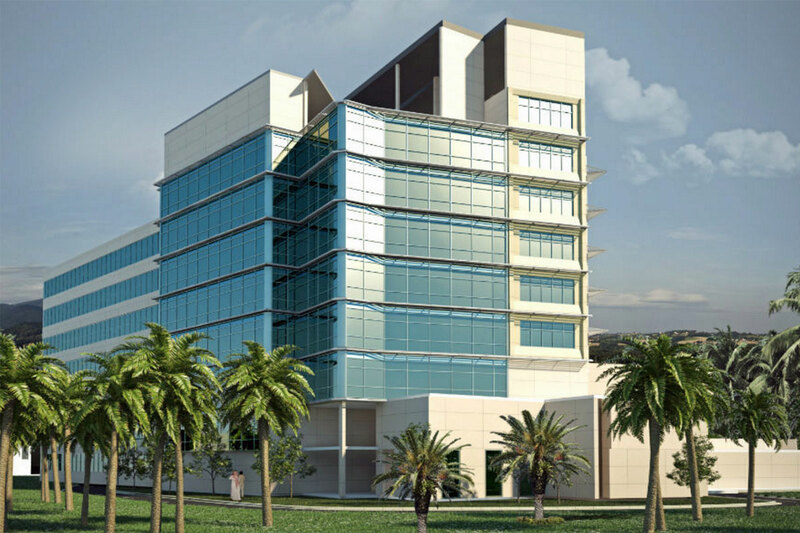 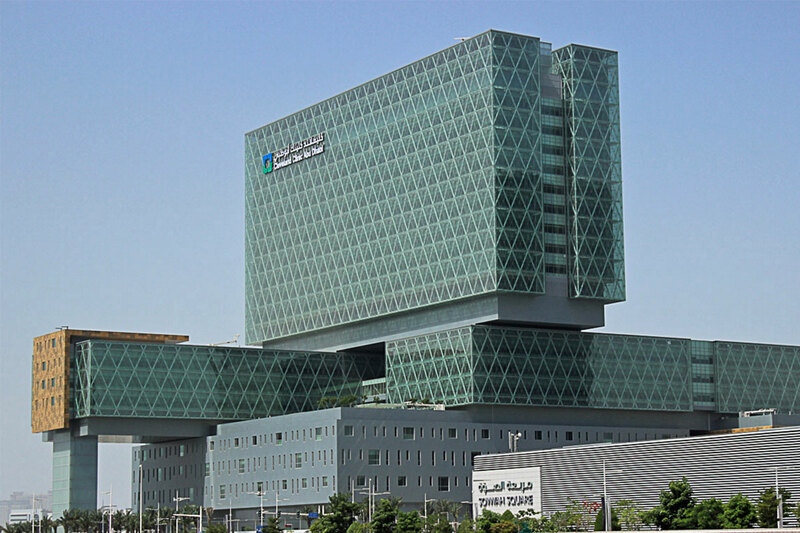 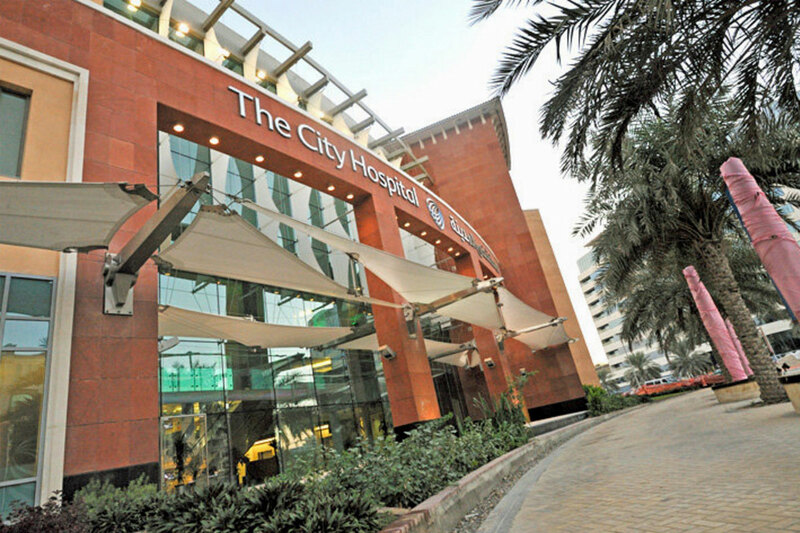 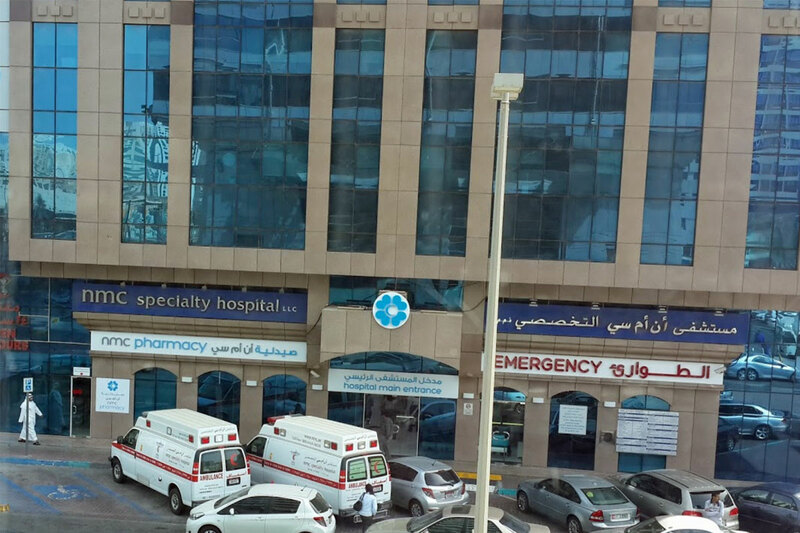 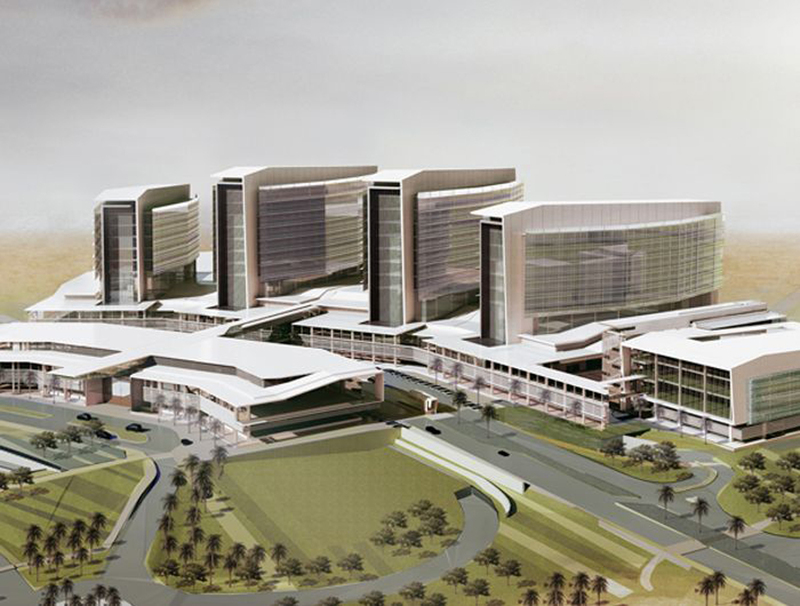 The 739 bed general hospital is being developed by SEHA – the Abu Dhabi Health Service Company. 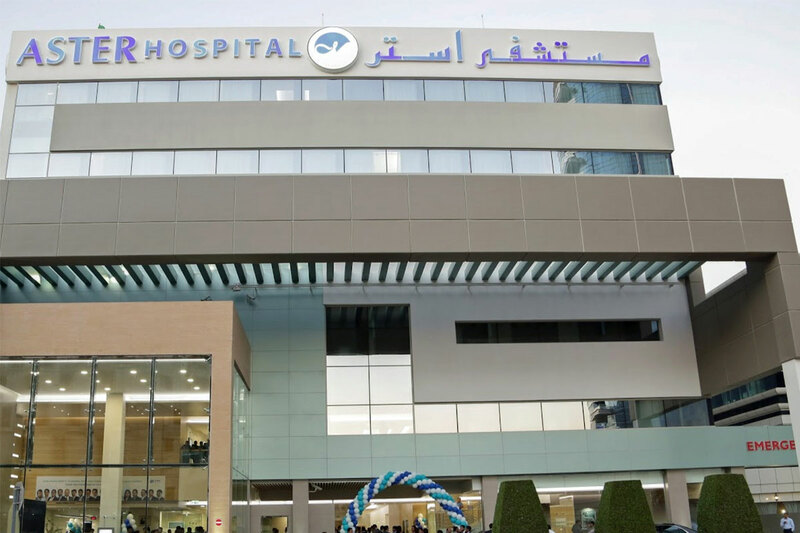 The hospital will have evolved into one of the forefront hospitals in the Middle East, and will be known as a leading trauma/surgery hospital. 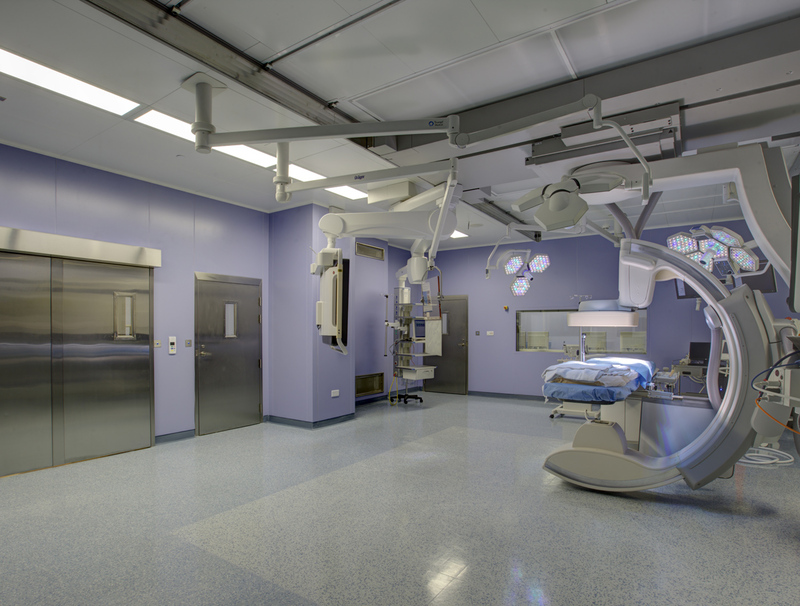 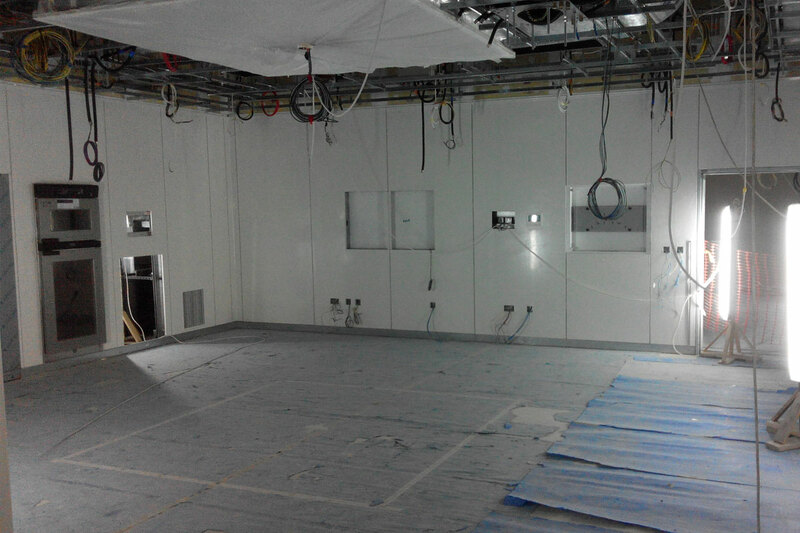 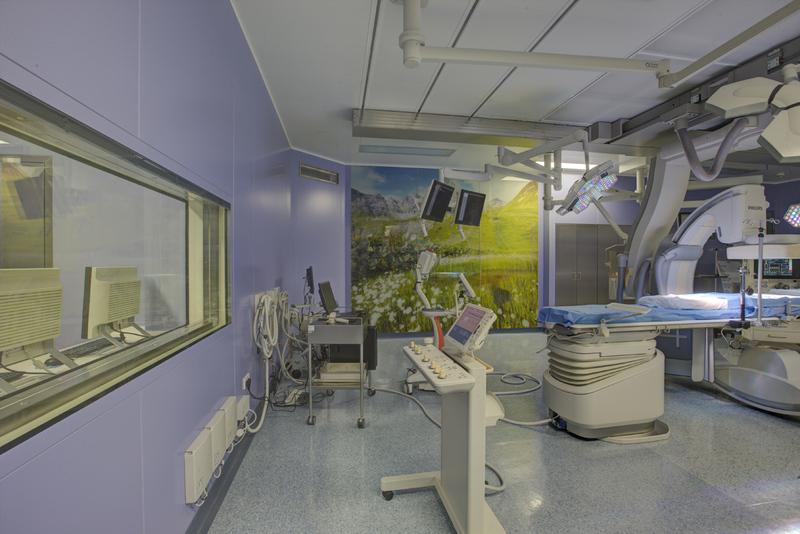 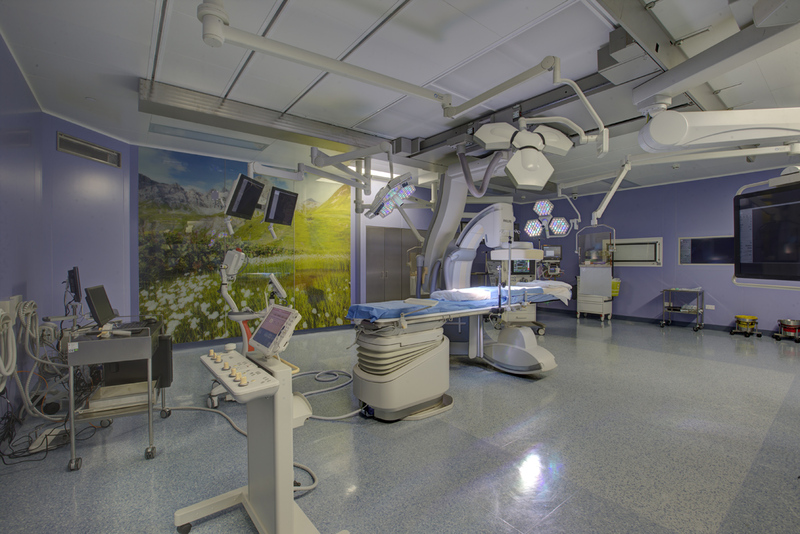 FourMed provided resources inclusive of labors, supervision, plant, equipment and materials to complete the 14 Modular Operating rooms works Package. 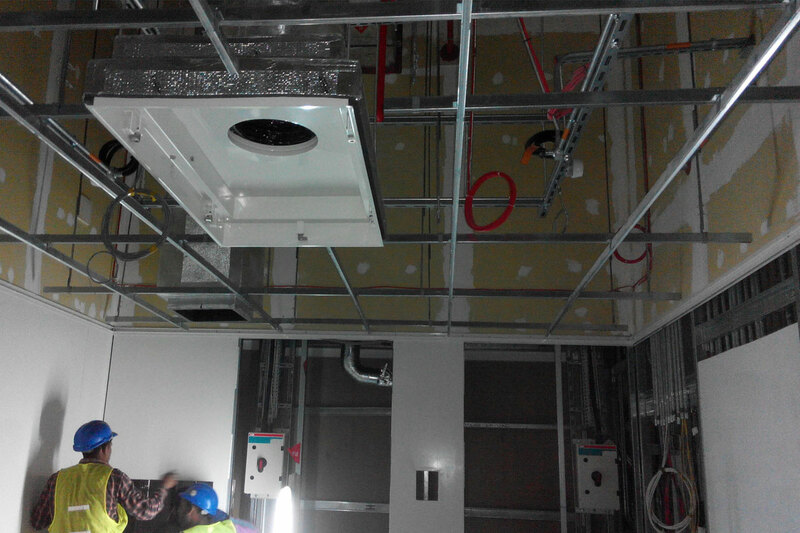 The extent of the FourMed subcontract works include, the design, production, fabrication, supply, setting out, erection, delivery, installation, construction, testing, commissioning and gaining sign off. 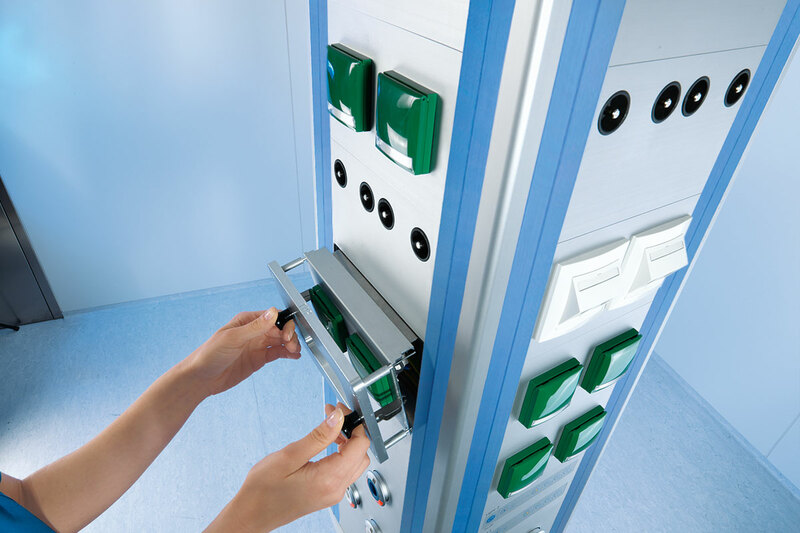 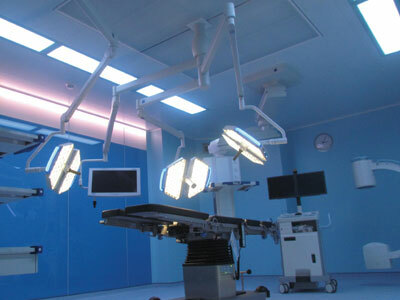 "HT Modular Solution for 14 OR Trumpf OT lights, pendants, and surgical tables "
The project involves construction of a hospital comprising a basement level, a ground floor, 3 additional floors and a roof offering 250 beds featuring emergency services, intensive care, pediatrics, cardiology, ophthalmology, orthopedics, urology, neurology, psychiatry, gastroenterology, nephrology and oncology. 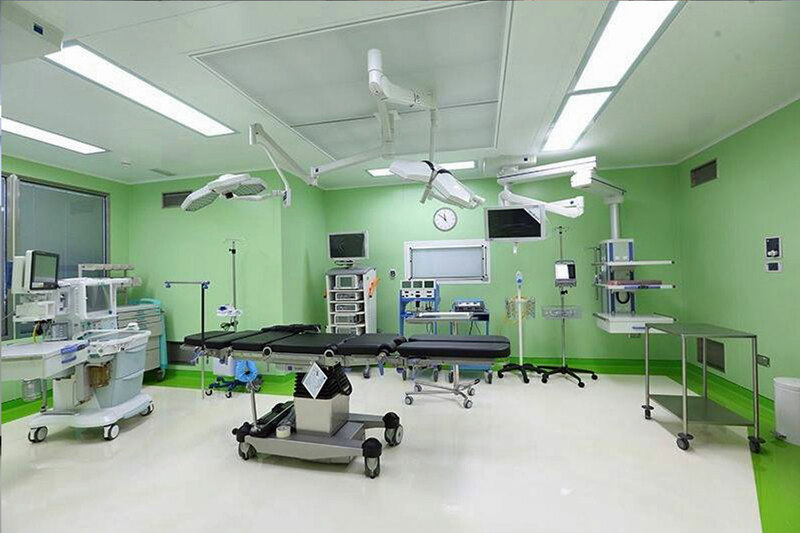 FourMed providing all resources inclusive of Labors, Supervision, Plant, Equipment & Materials to complete the Modular 14 Operating Rooms, Two Cath Labs & Sterile Corridor works Package. 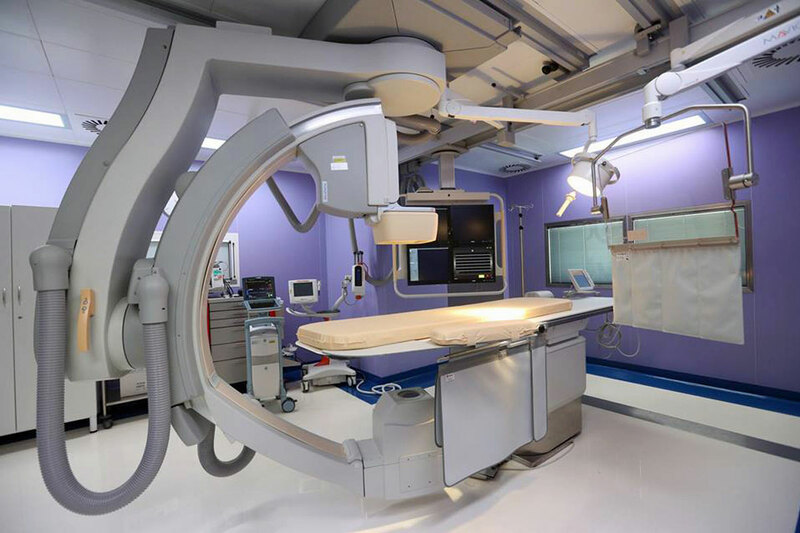 The extent of the Subcontract Works include The Design, Production, Fabrication, Supply, Setting out, Erection, Delivery, Installation, Construction, Testing, Commissioning & hand over to the client. 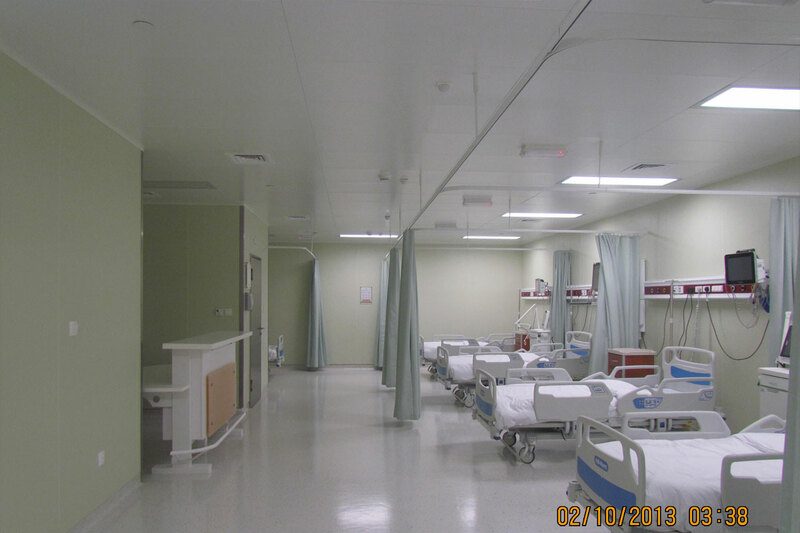 HT Wall Panels, S/S Doors, Ceiling Systems, Control Panels, Scrub Sinks, Illuminators & Glass Windows to form a complete room’s space. 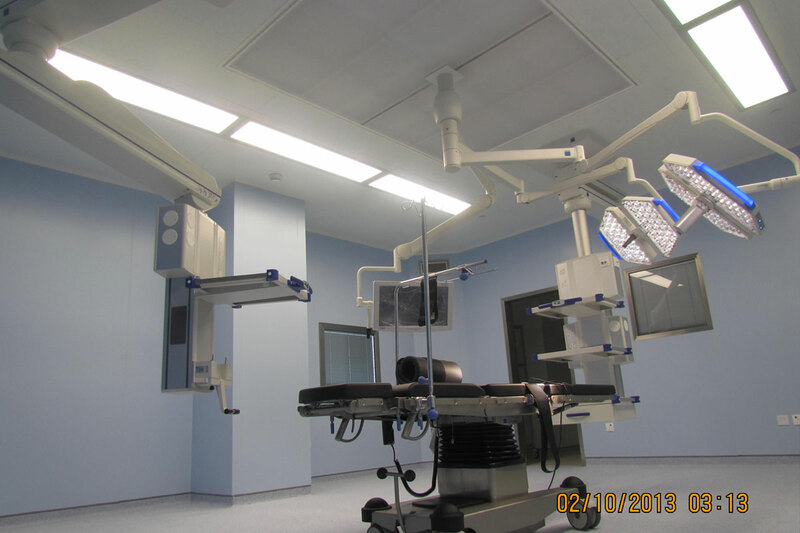 TRUMPF - TruPort Ceiling Pendants, iLED, TruLight 5000, and TruLight 3000 Surgical Lights. 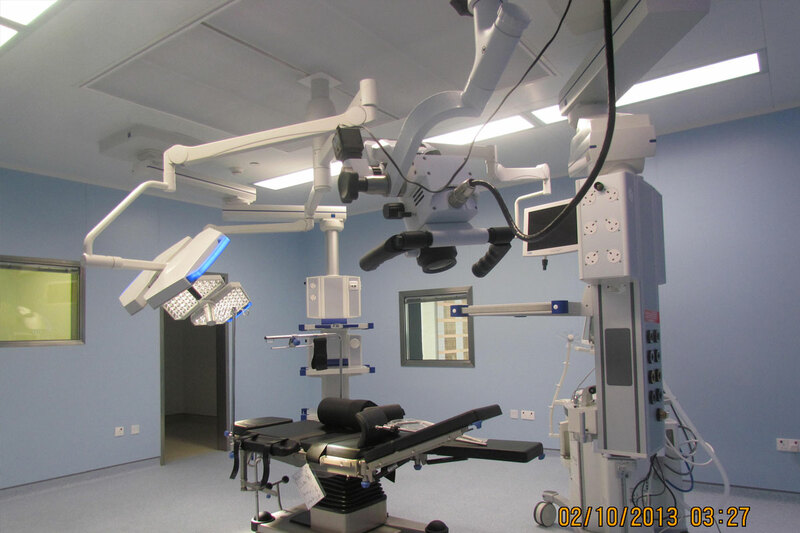 "HT Modular Solution for 14 OR & 2 cath labs Trumpf OT lights, and pendants "
Four (4) Full HD Diagnostic & Surgical Endoscopy towers from Richard Wolf state-of-art equipment, for gynecology, laparoscopy & ENT specialties. 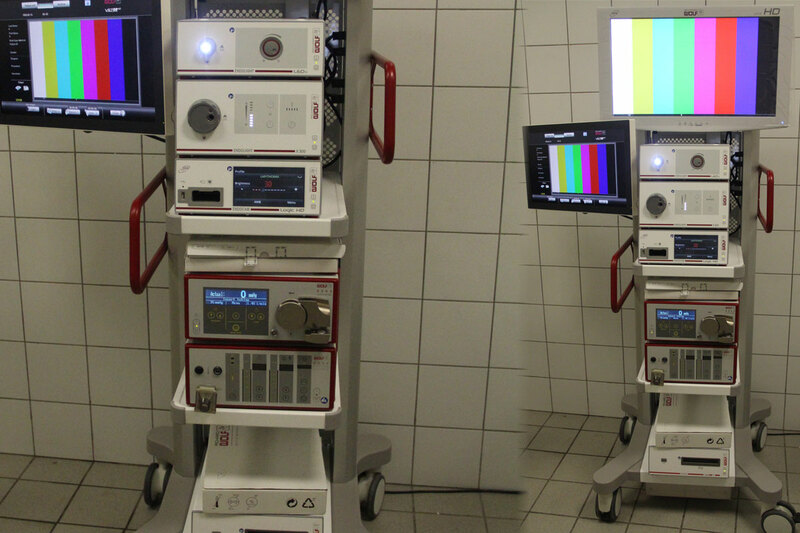 Two (2) Full HD Diagnostic & Surgical Endoscopy towers from Richard Wolf state-of-art equipment, for laparoscopy & ENT specialties. 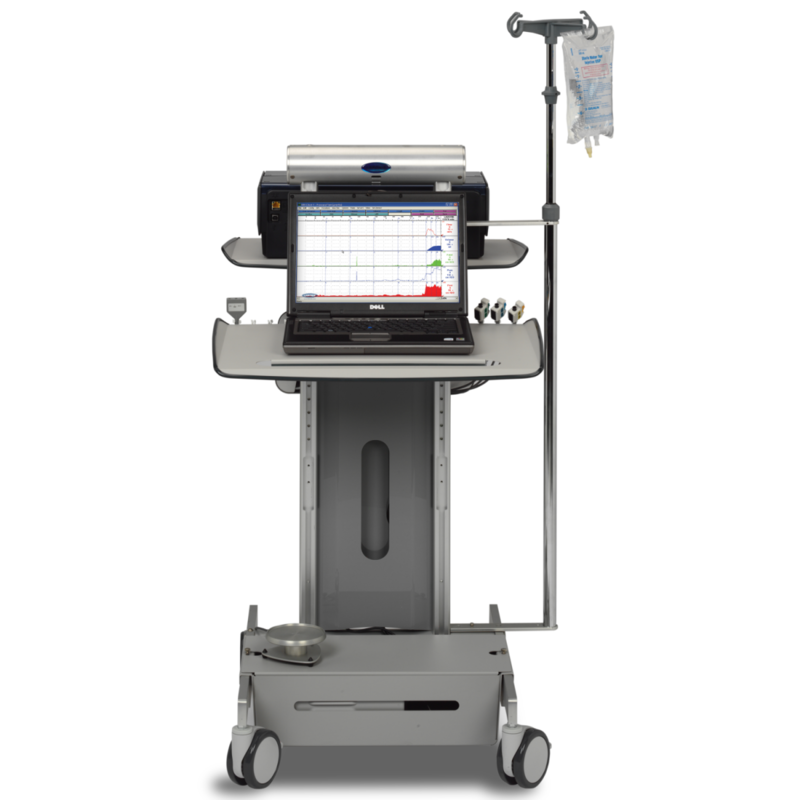 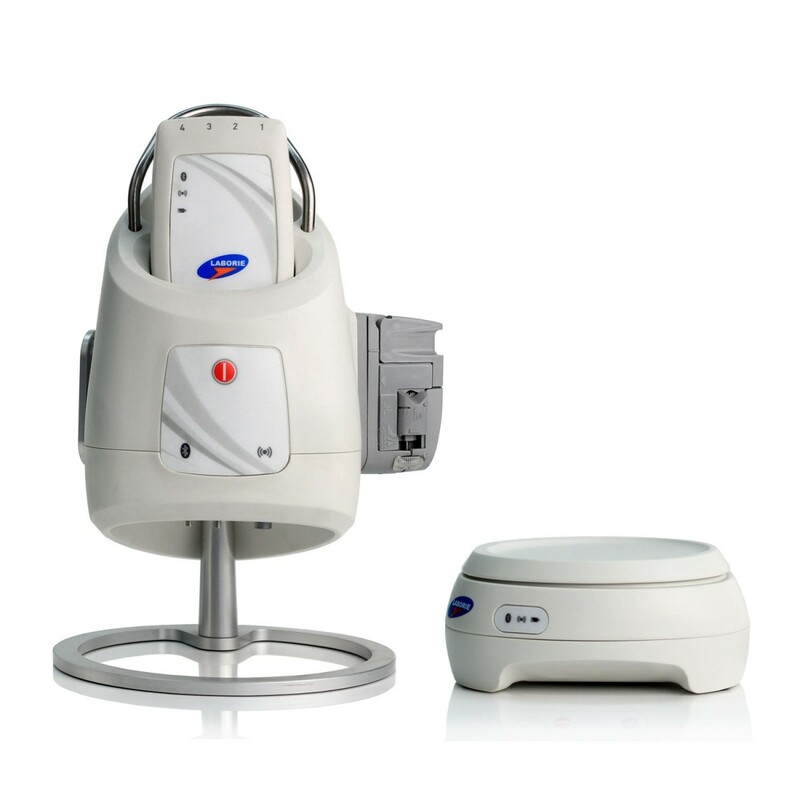 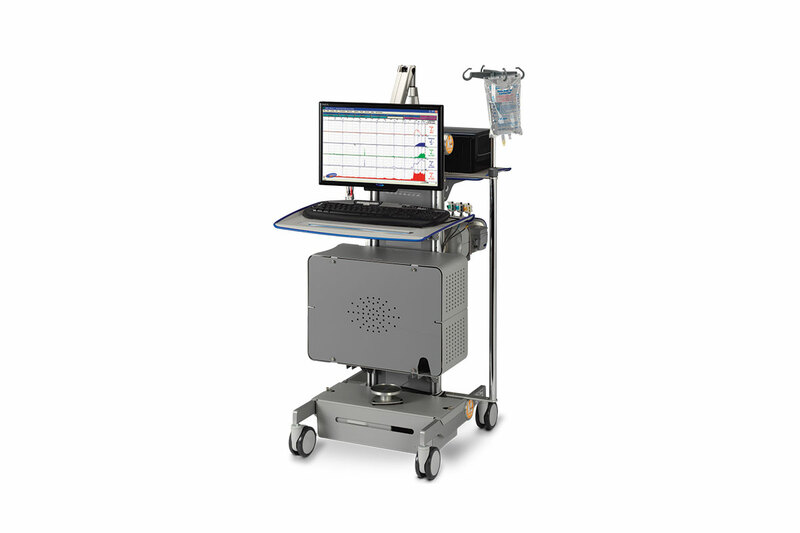 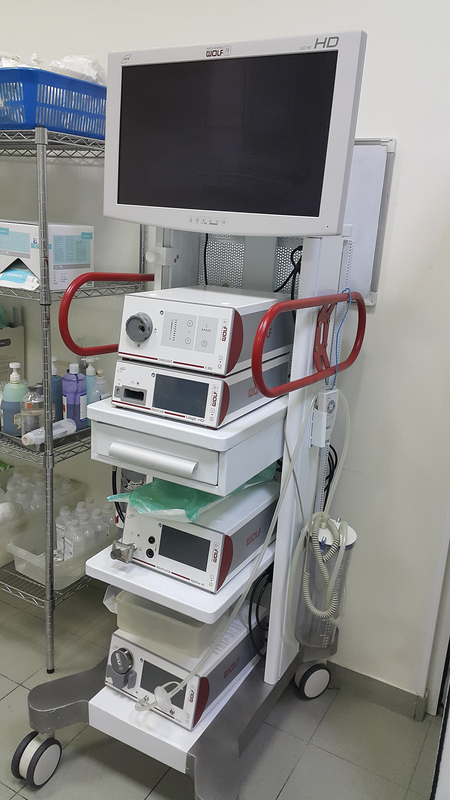 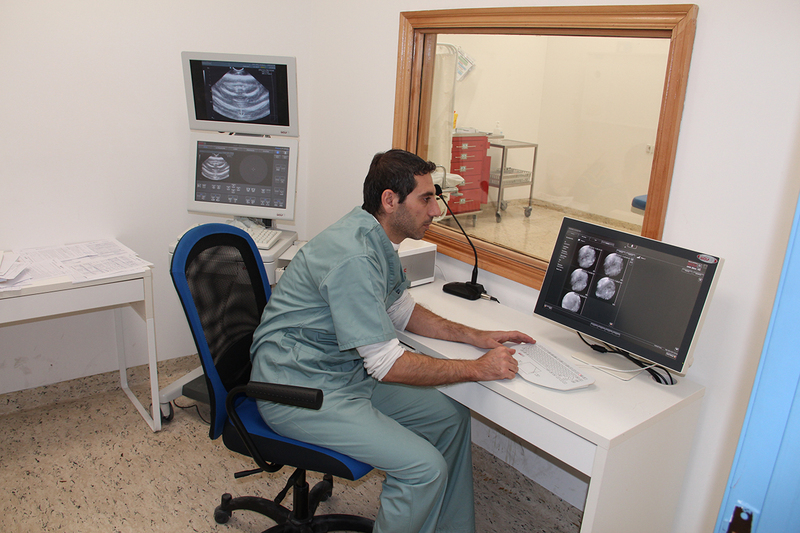 The hospital urodynamic clinic is preforming UD cases using our Laborie Dordao system that is an all-in-one practical system that performs Urodynamic, Biofeedback and Anorectal Manometry studies on one convenient cart. 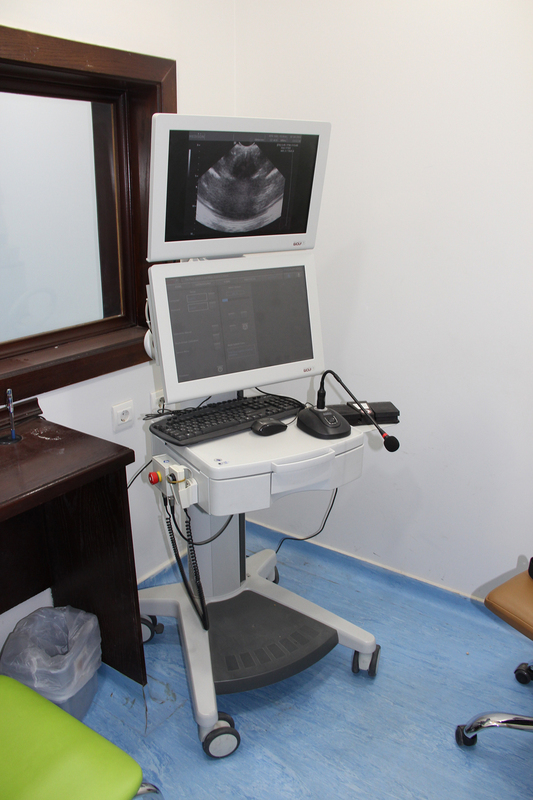 SKMC urodynamic clinic is one of the most important references for our Urodynamic system that is preforming many UD cases using our Laborie Dordao system that is an all-in-one practical system that performs Urodynamic, Biofeedback and Anorectal Manometry studies on one convenient cart. 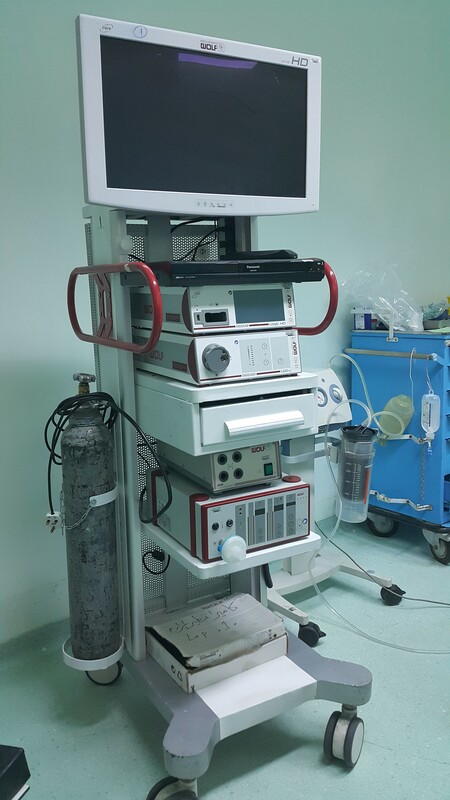 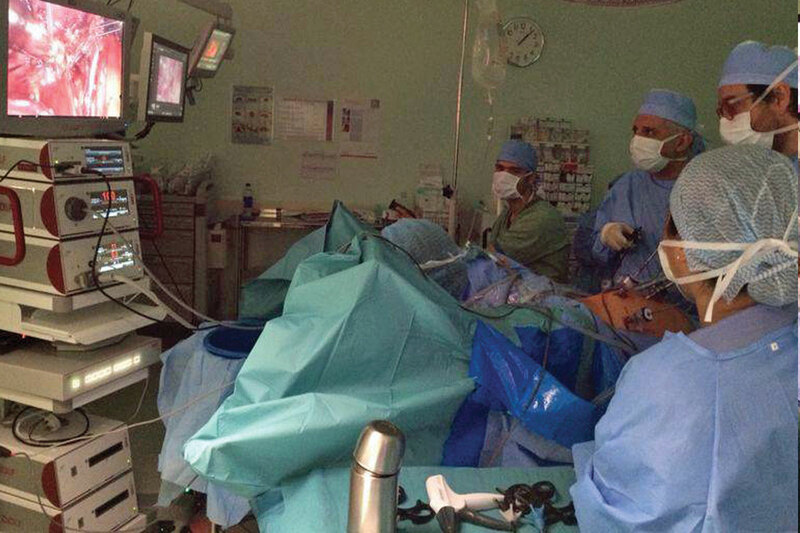 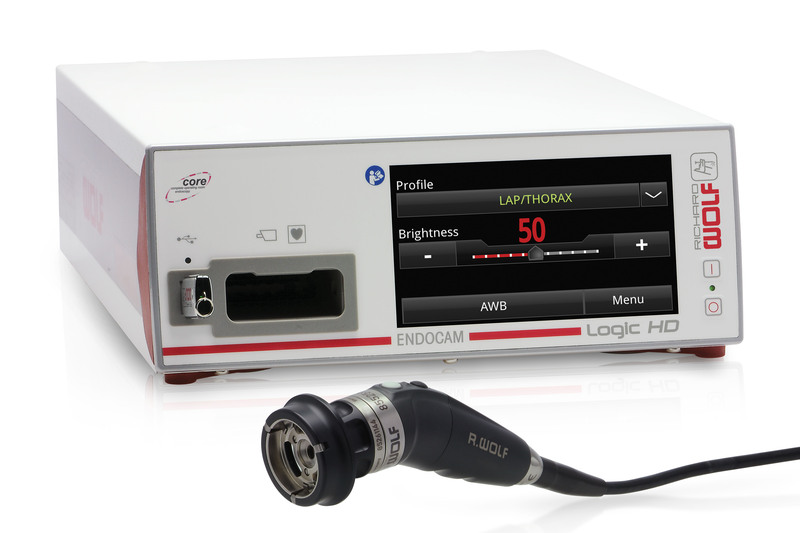 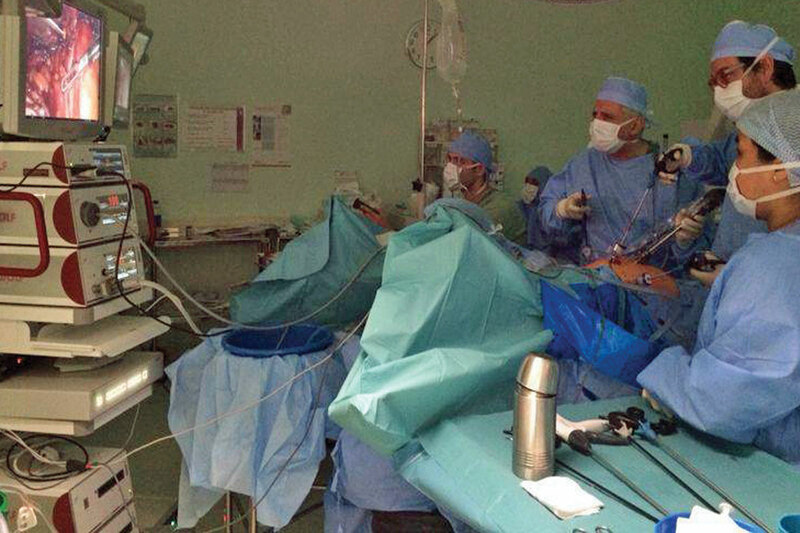 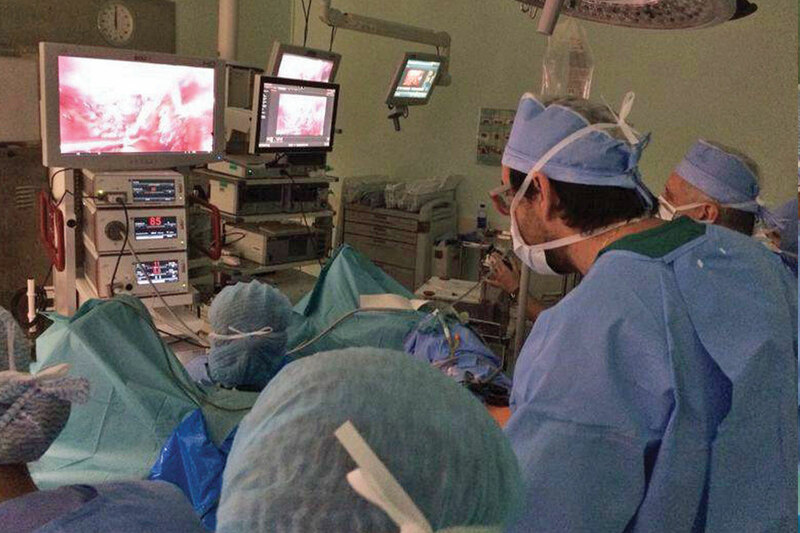 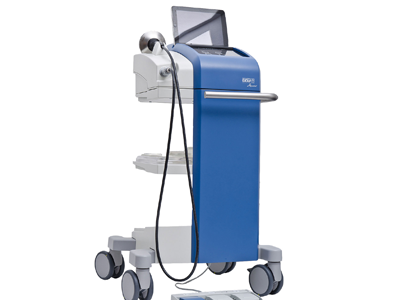 Laborie Delphis system state-of-art urodynamic equipment. 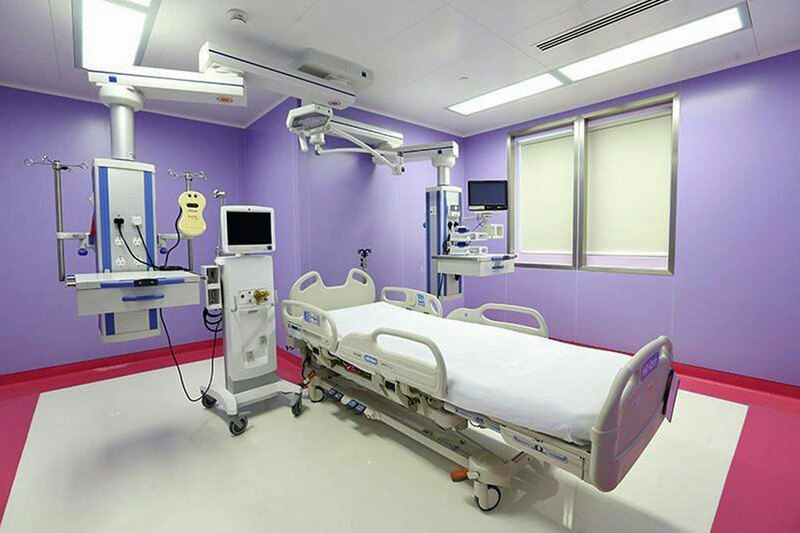 "Surgical Suite Design, Planning, Complete Building & Project Management for 6th Floor, 7th Floor, M Floor, 1st Floor & 8th Floor. 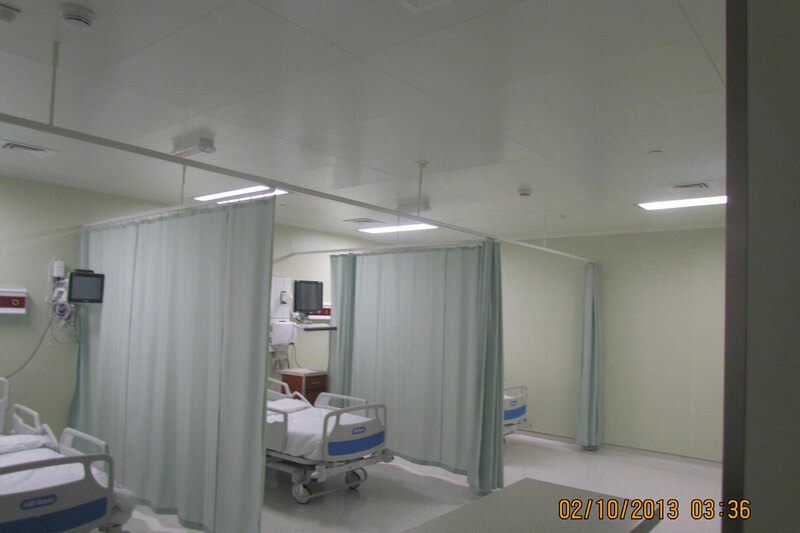 Supply & Installation of HT Labor Modular System, TRUMPF Ceiling Pendants, Surgical Lights & Operating Tables for the following areas: Pre and Post Operative Areas, 6 Major Operation Theaters, 1 Cath Lab, Minor Operation Theater, 2 VIP ICU, Clean Corridors & Supported Clean Rooms. " 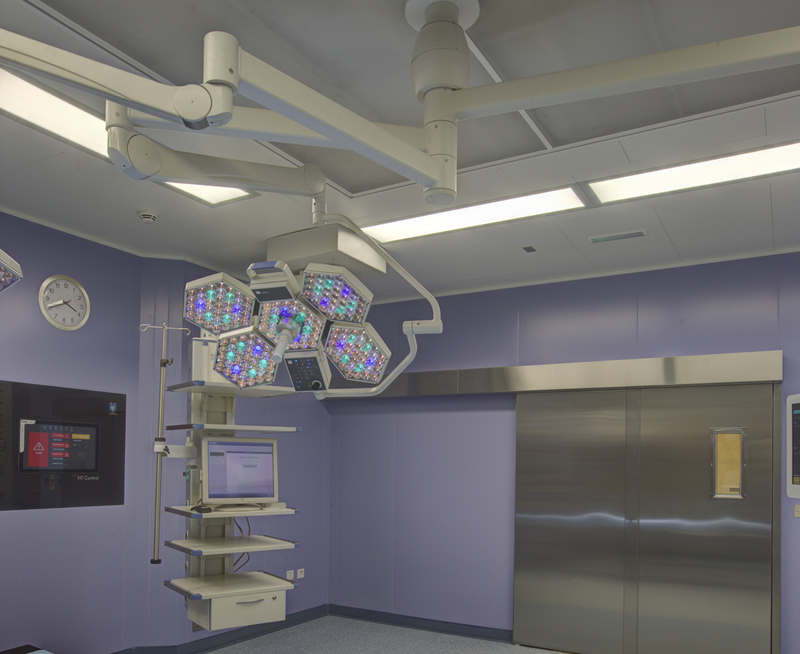 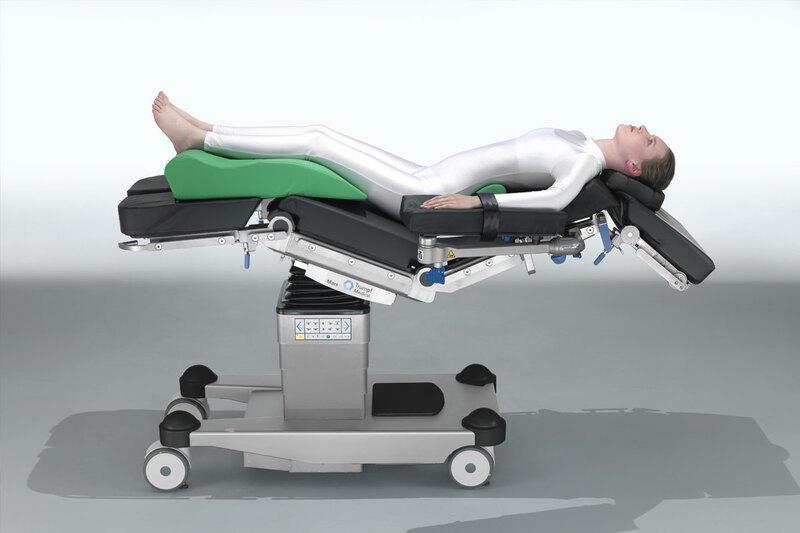 "HT Modular Solution for OR & ICU Trumpf OT lights, pendants, and surgical tables Richard Wolf Urology & Gynecology endoscopy systems & instruments. " 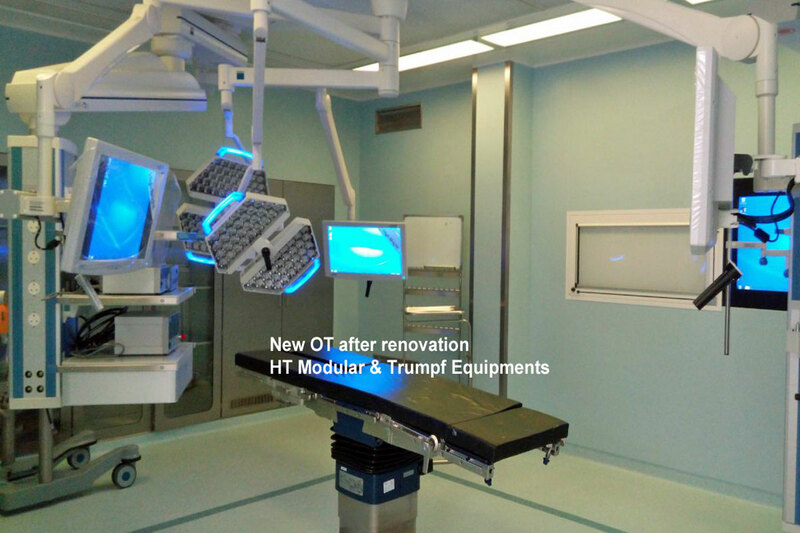 "Trumpf OT lights with HD camera, pendants, and surgical tables Richard Wolf Core integration system "
No Data! 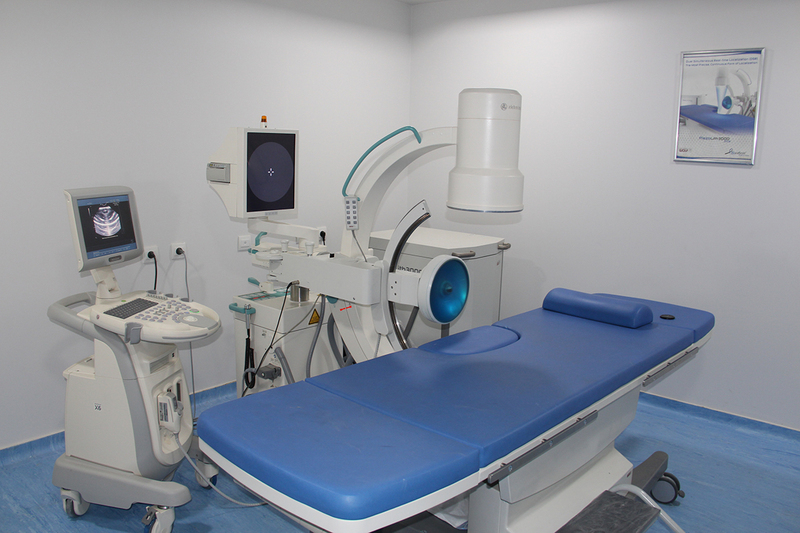 There are no clients similar to the criteria you did select.